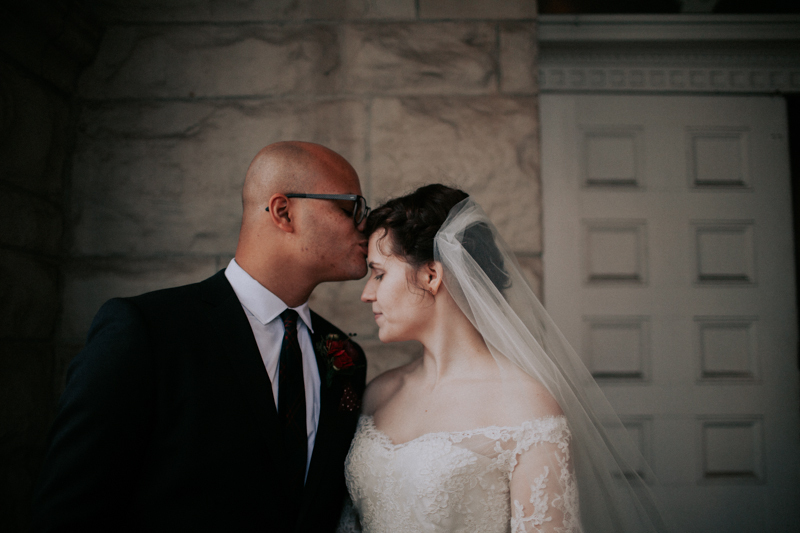 Mary & Isaac are in-love with one another in such a way, a really good way. 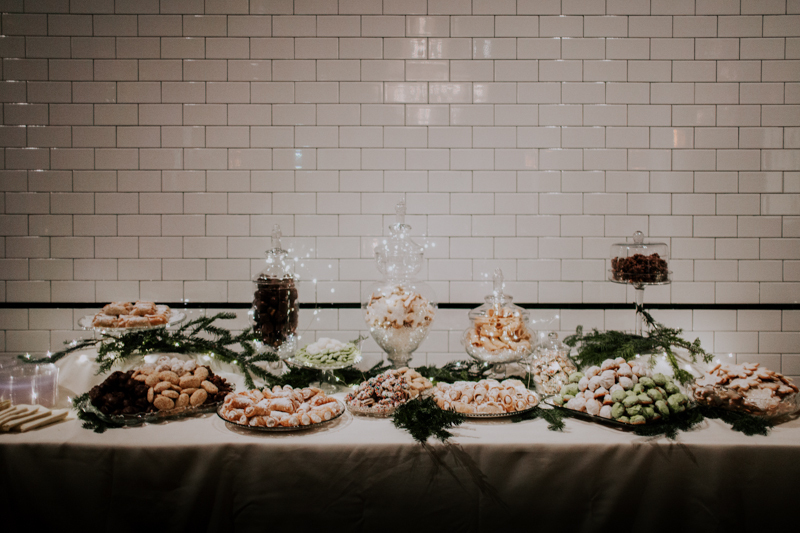 A really sweet way. 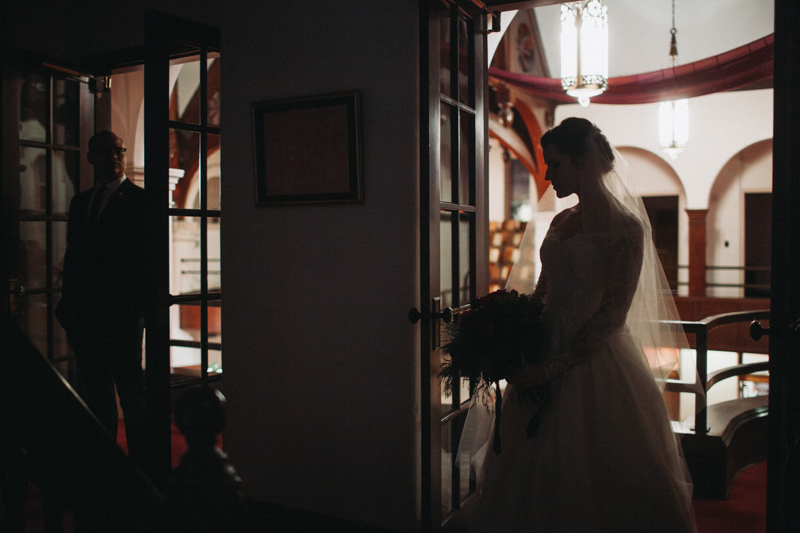 A really really gentle, understanding and intentional way. 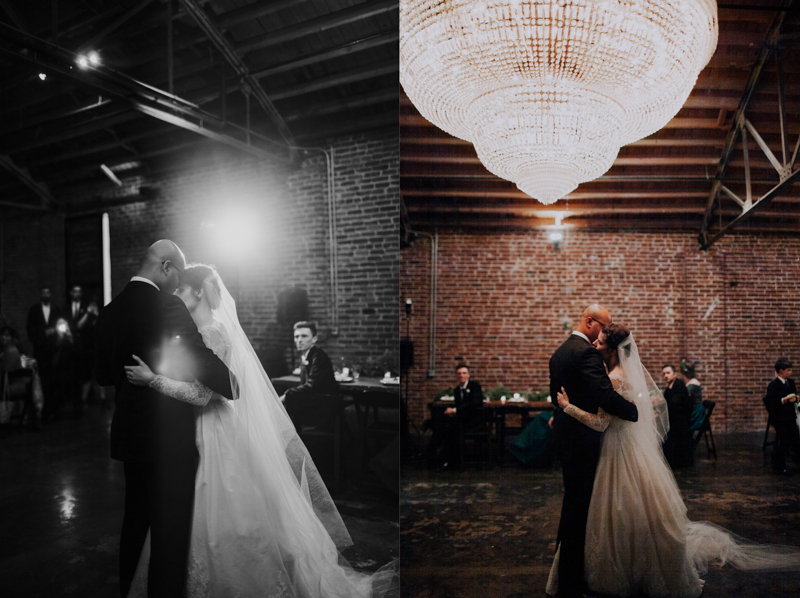 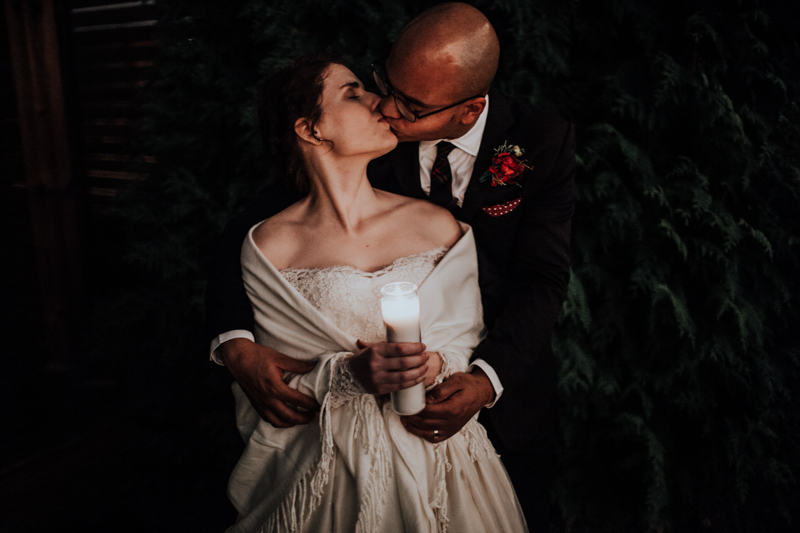 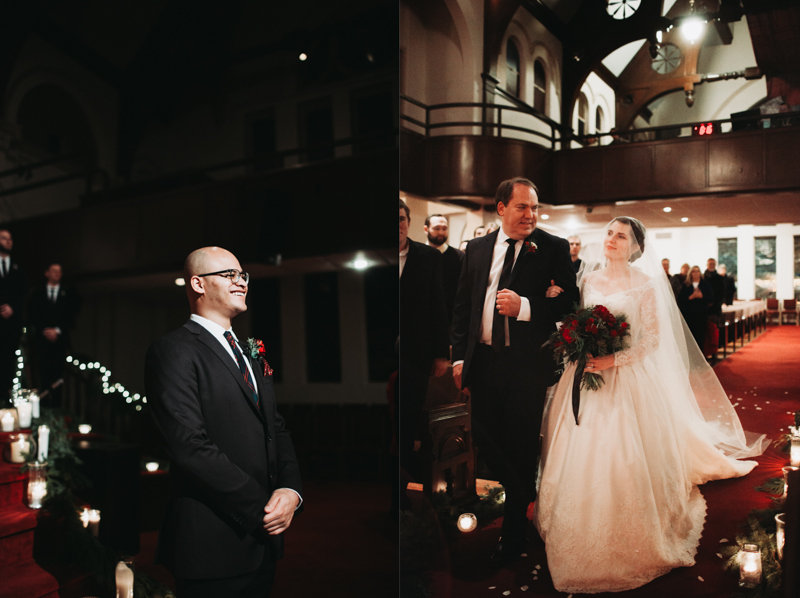 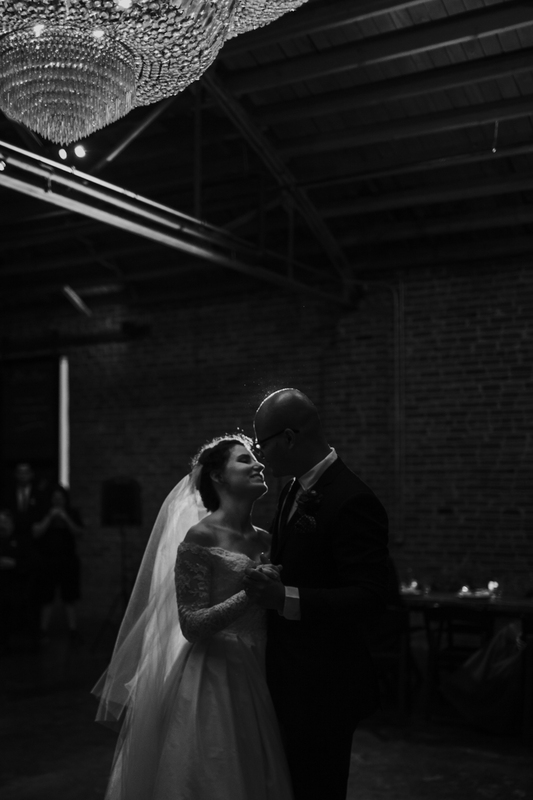 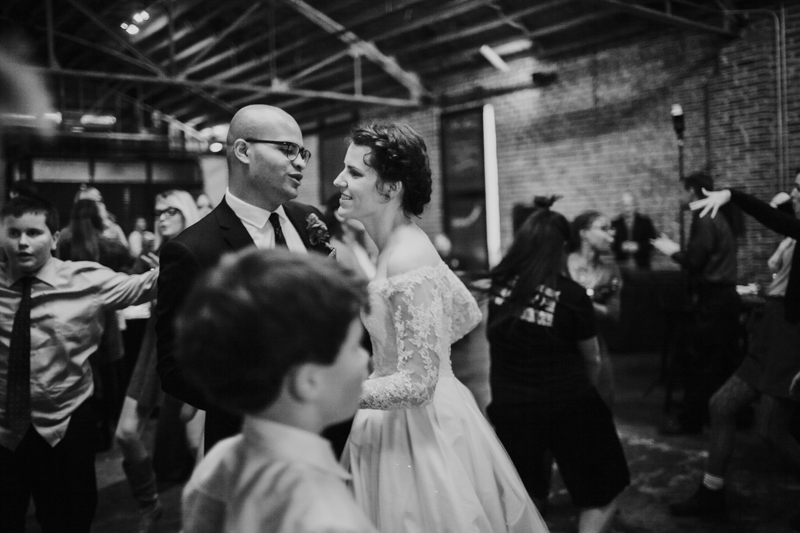 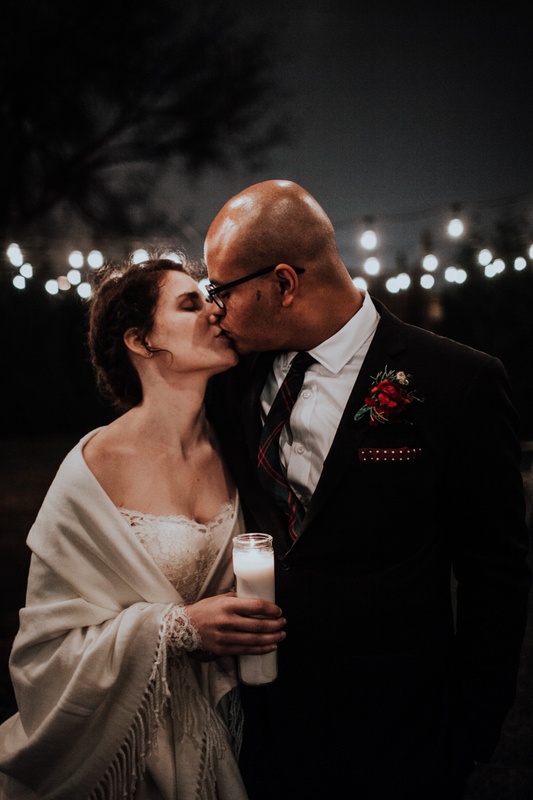 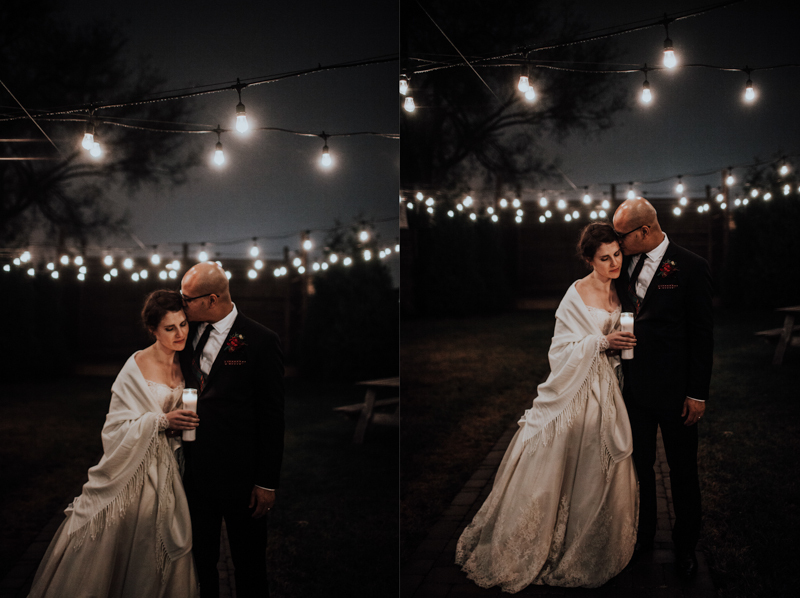 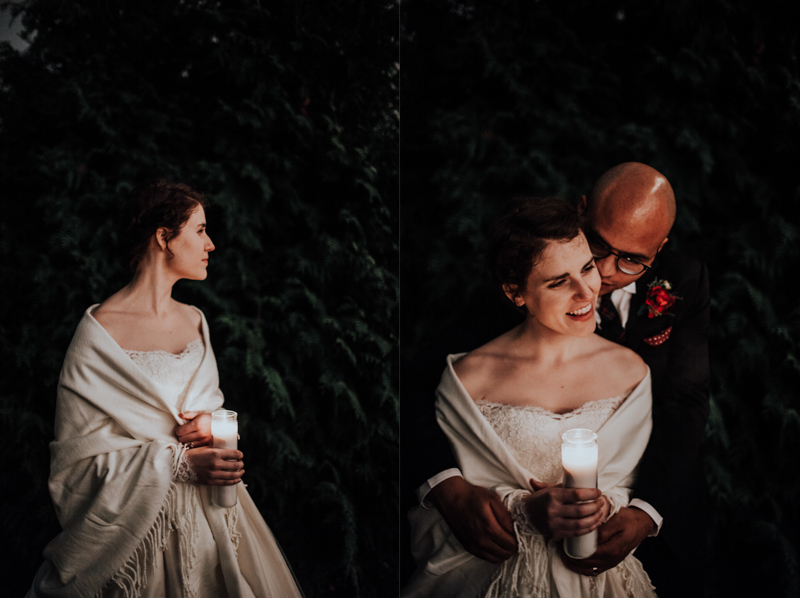 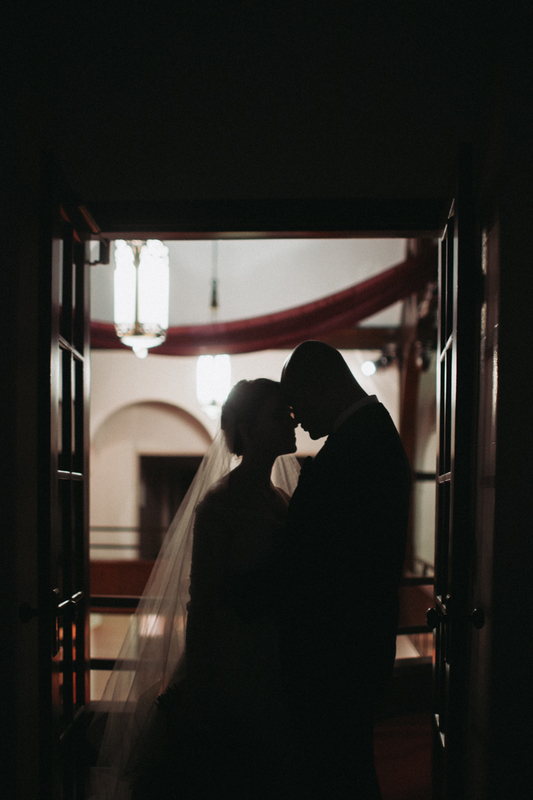 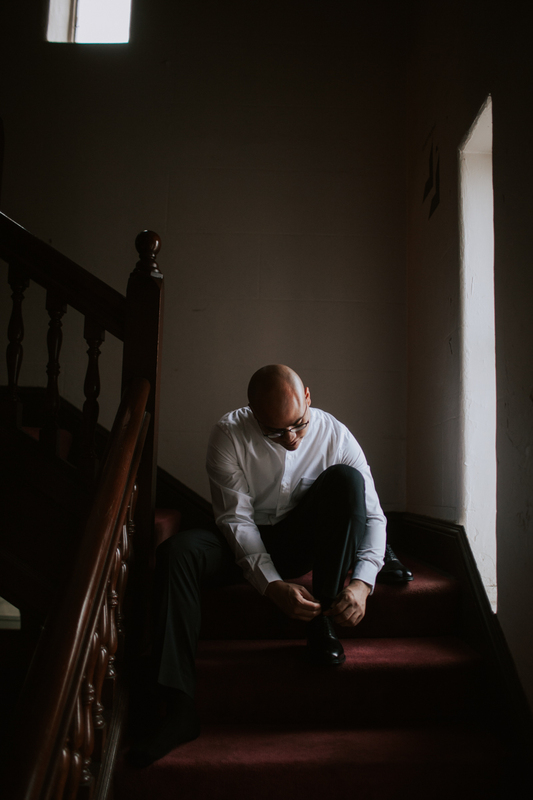 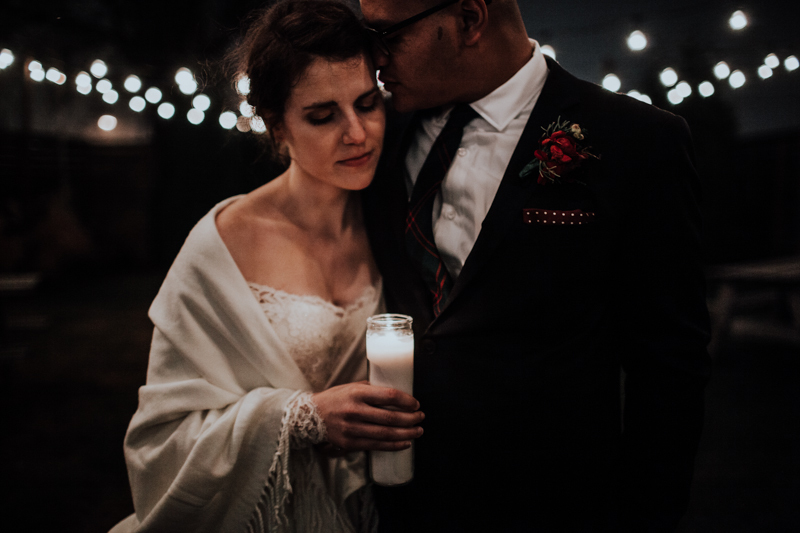 This wedding pushed me into a new realm of nighttime portrait photography that I hadn’t previously had the opportunity (or guts, let’s be honest) to delve into. 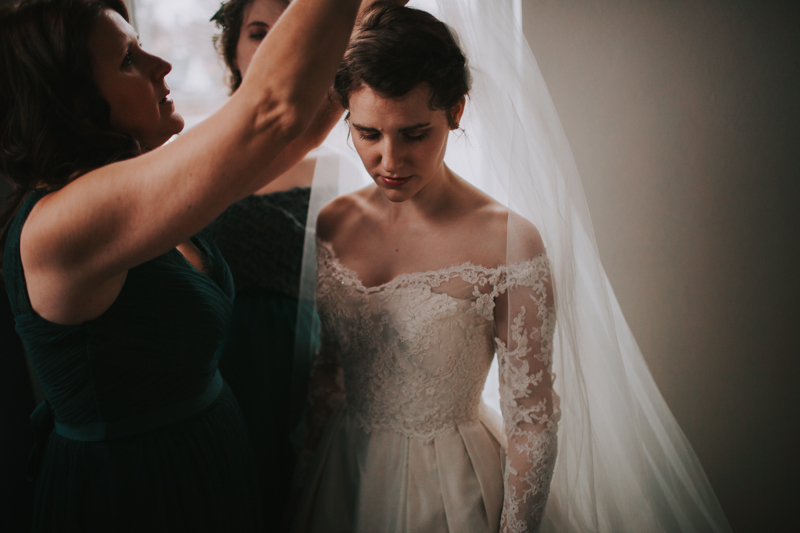 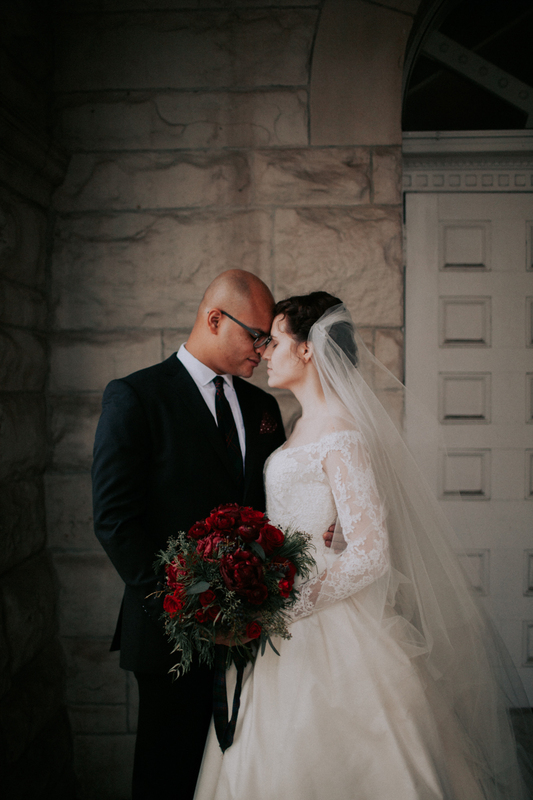 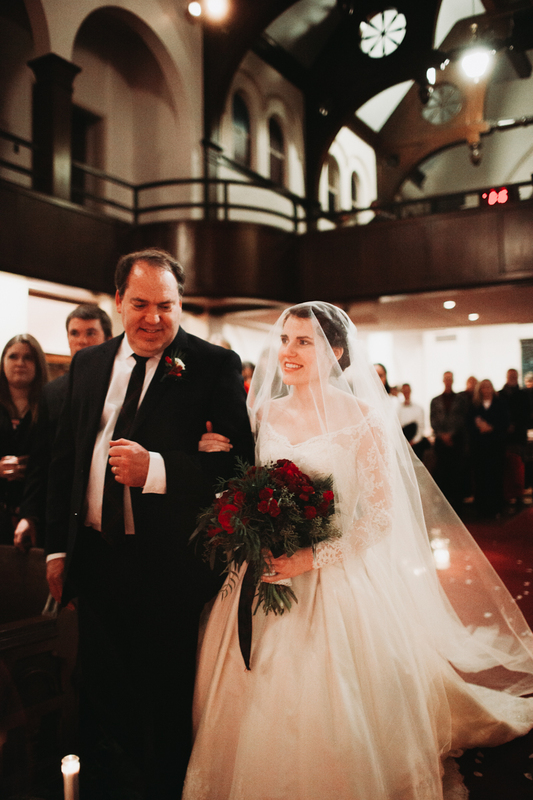 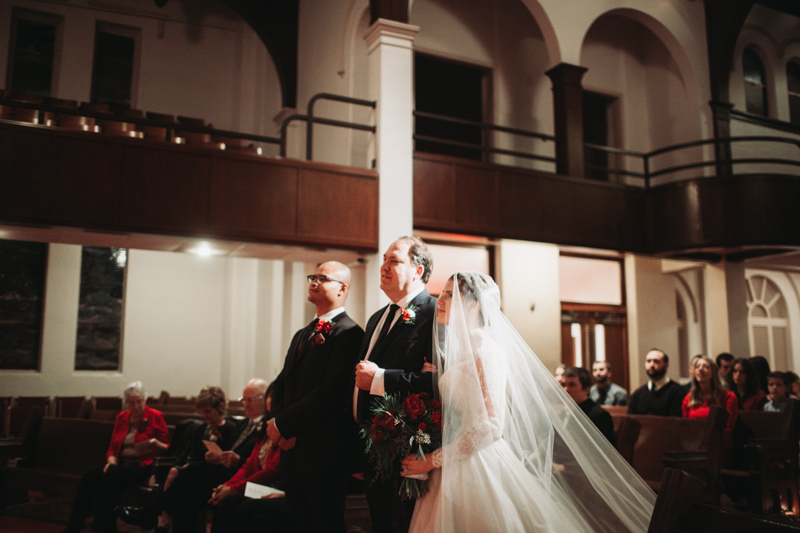 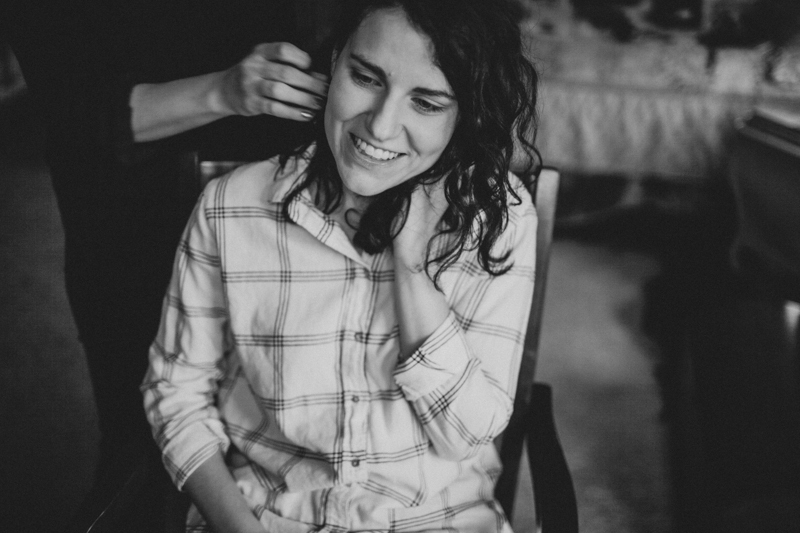 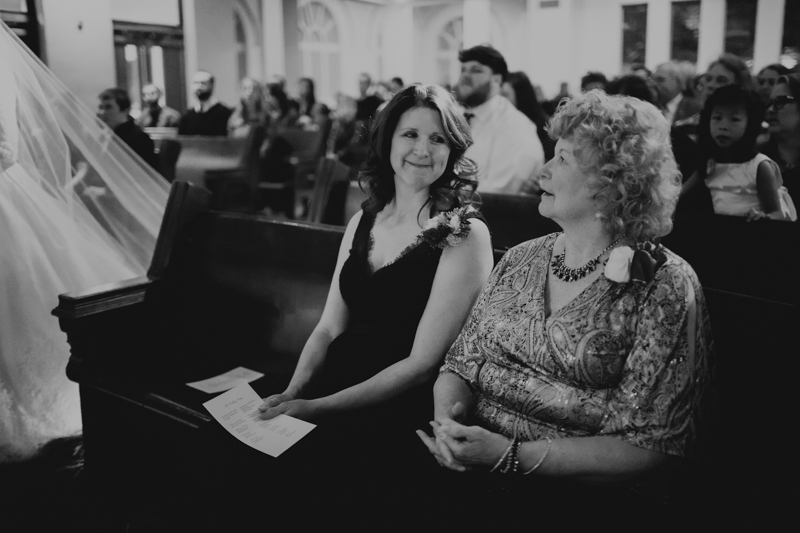 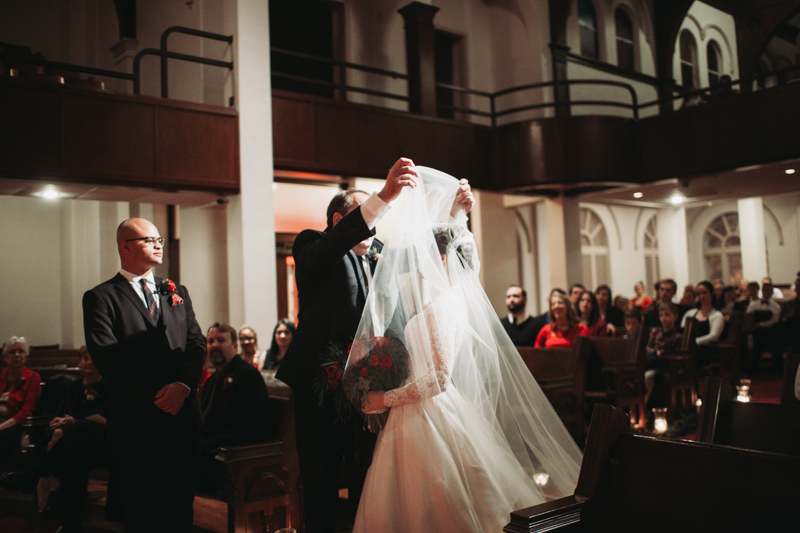 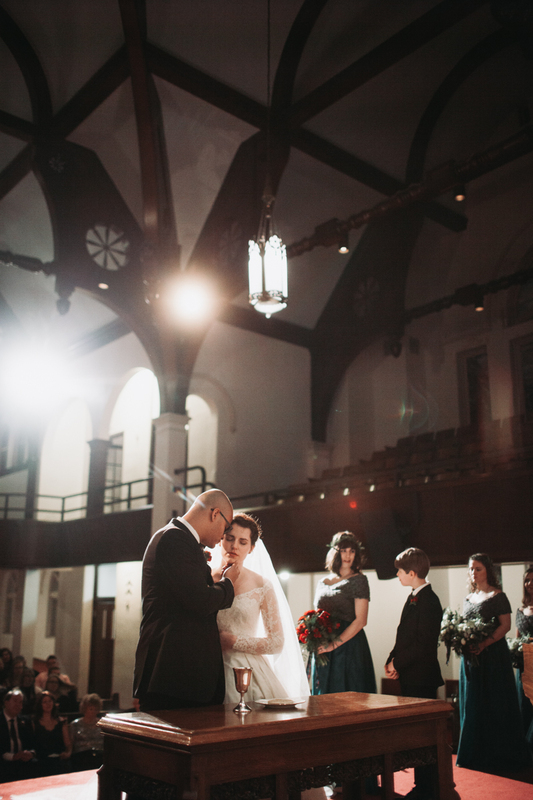 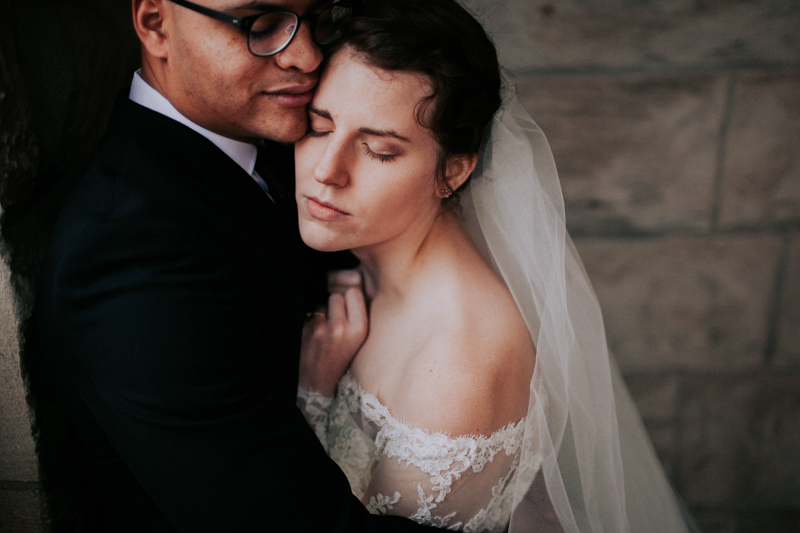 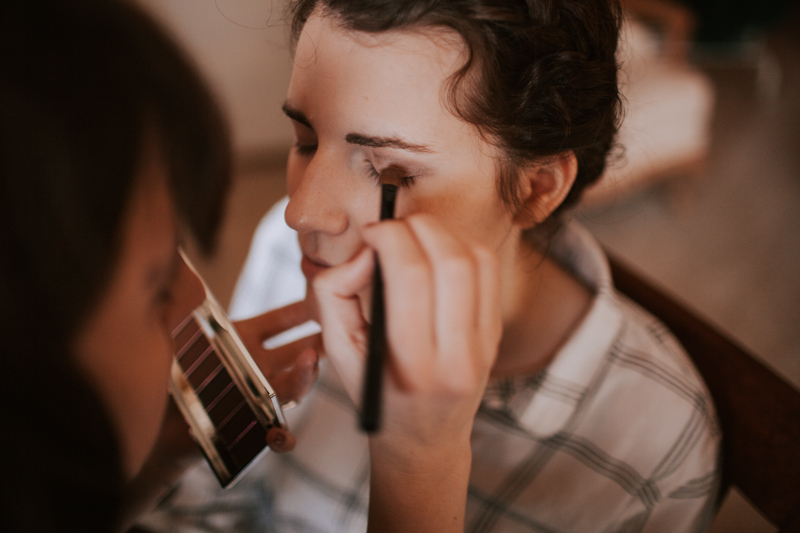 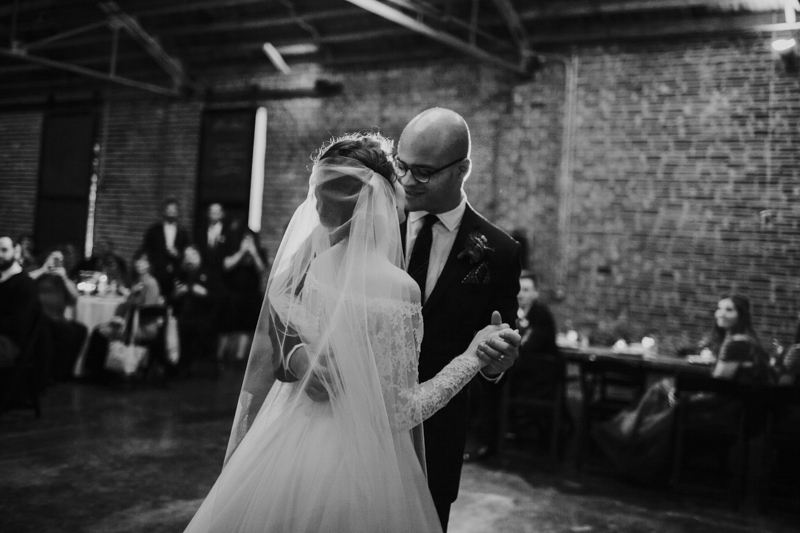 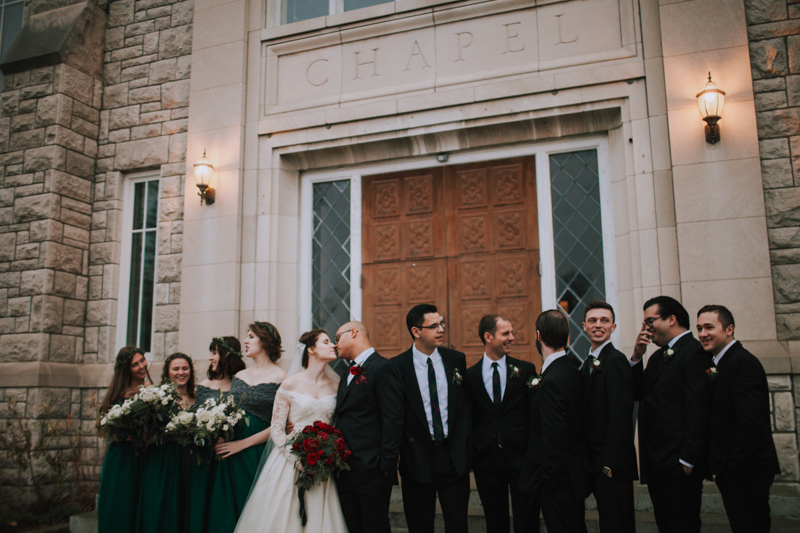 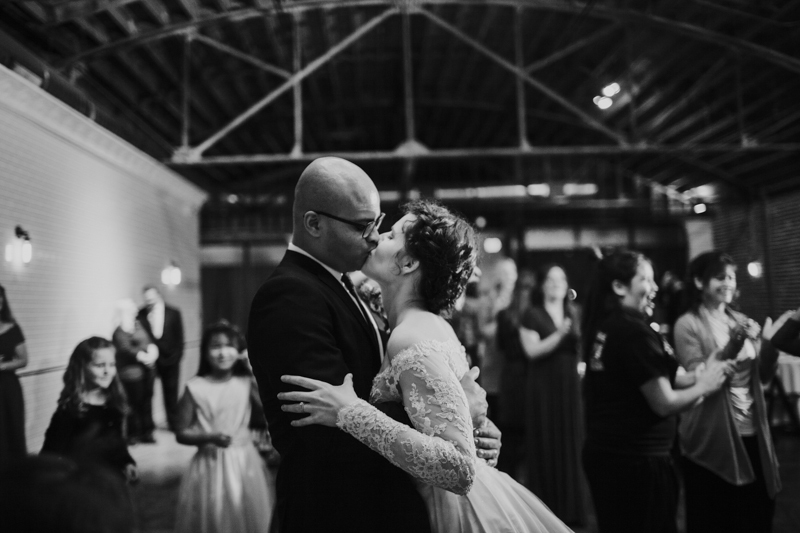 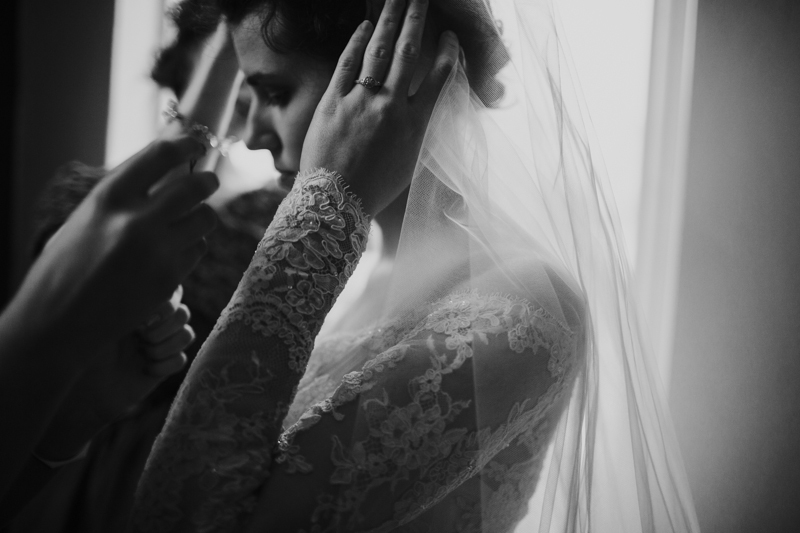 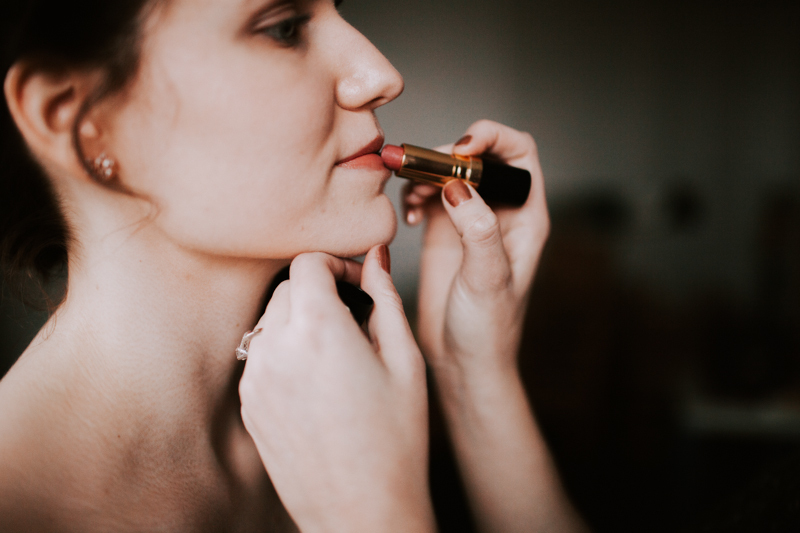 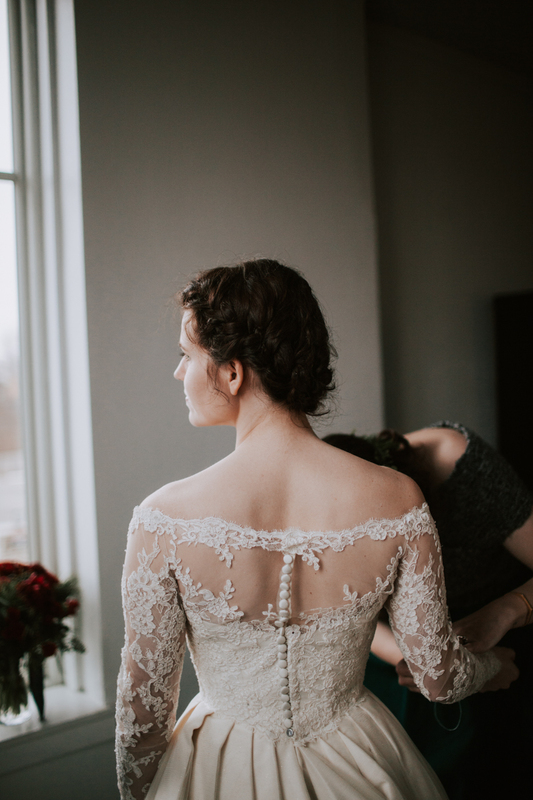 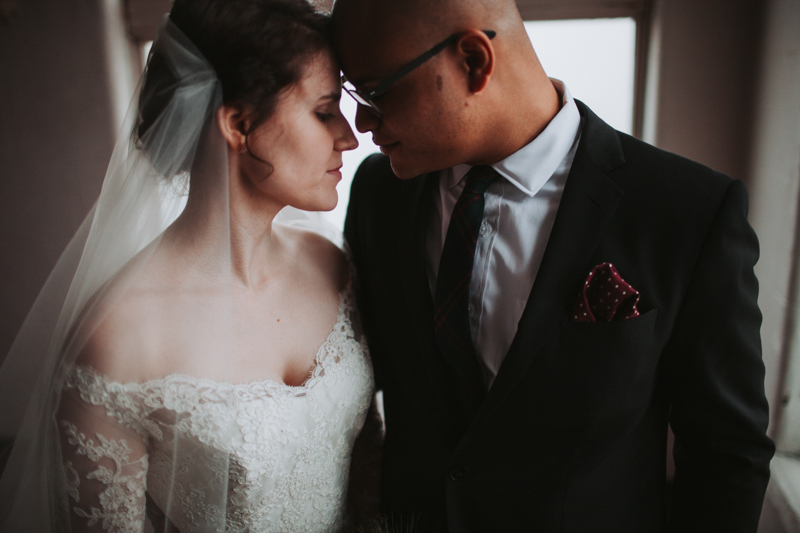 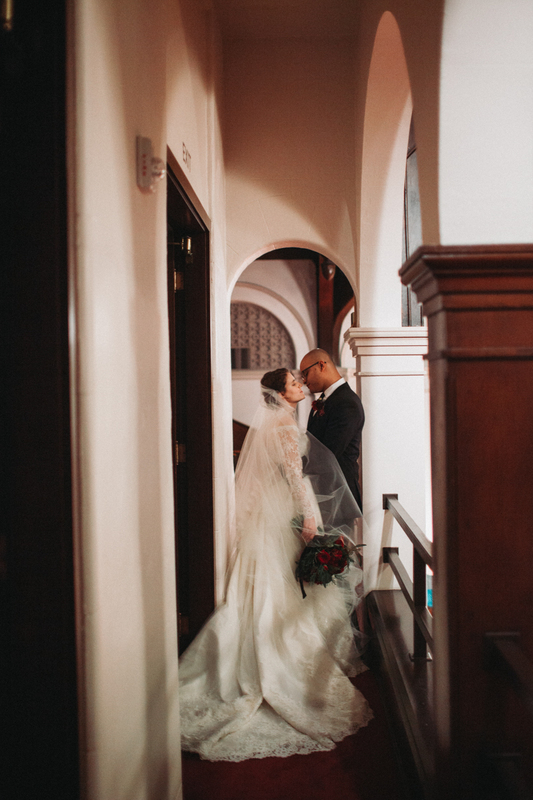 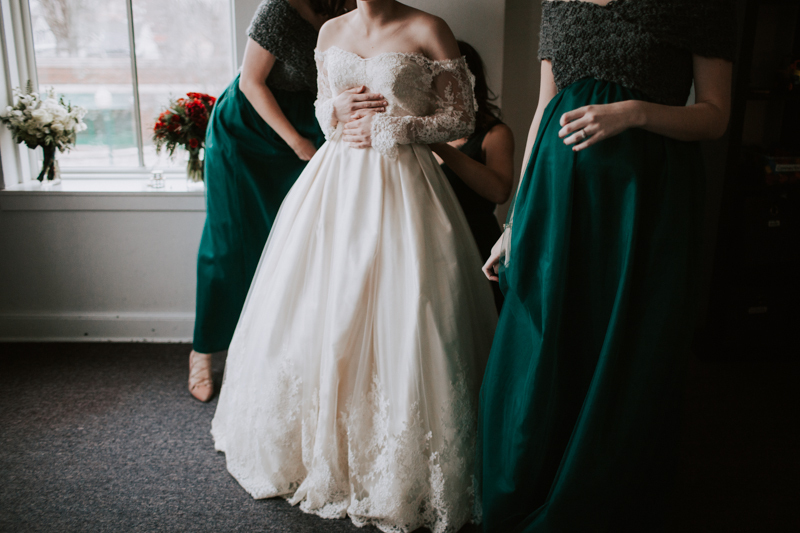 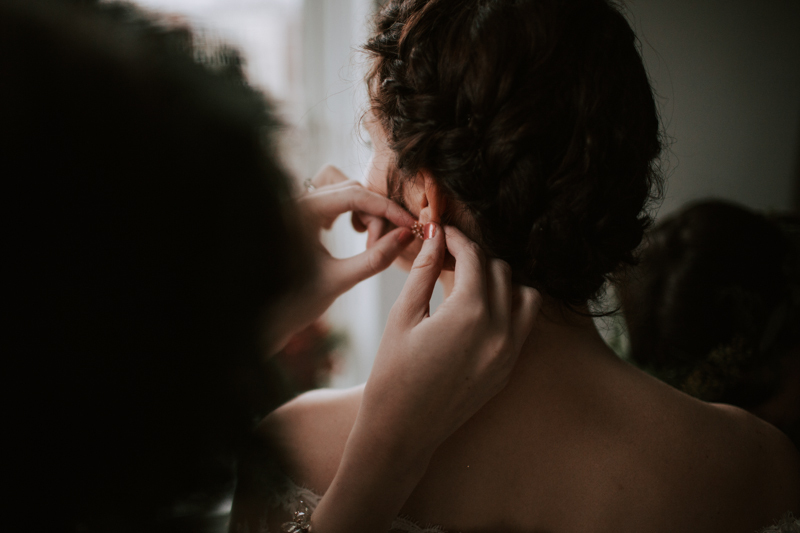 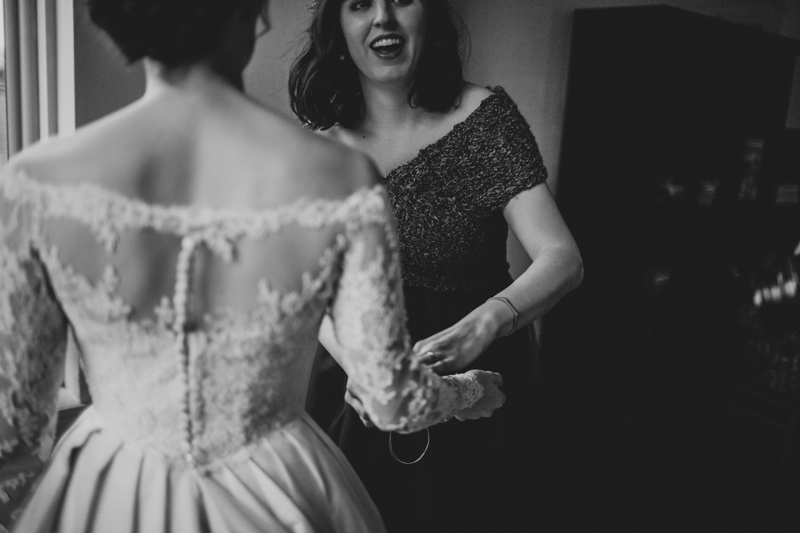 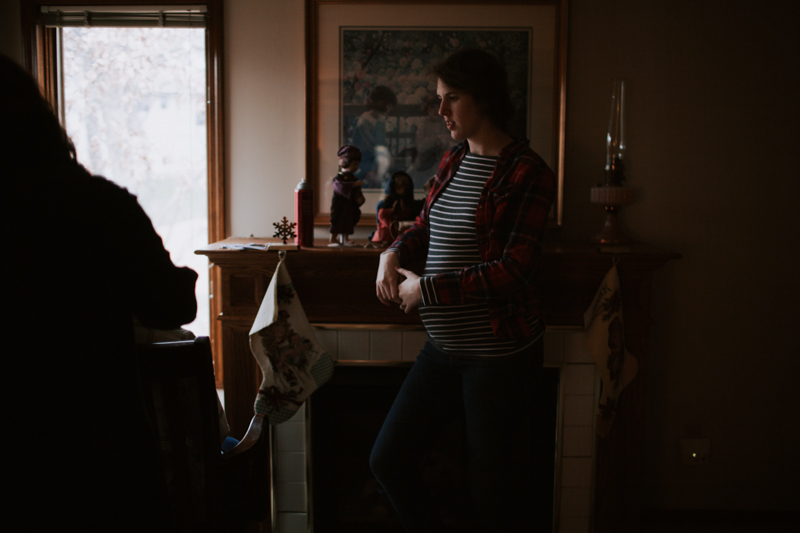 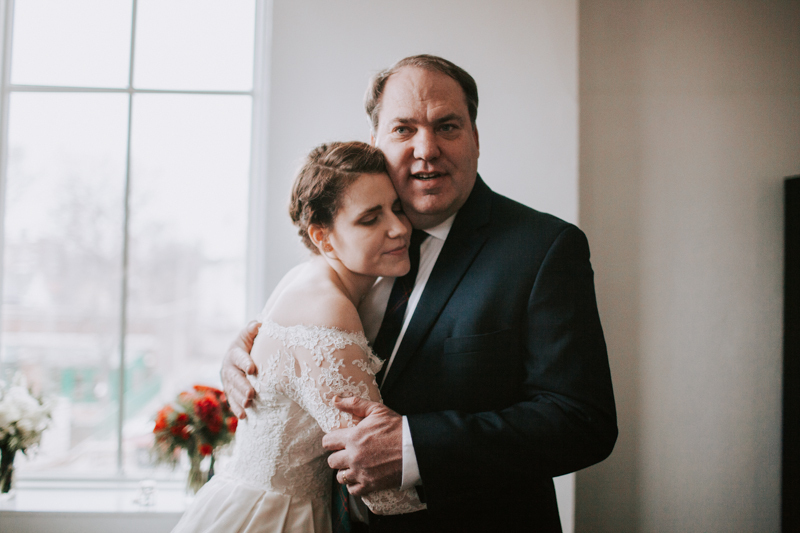 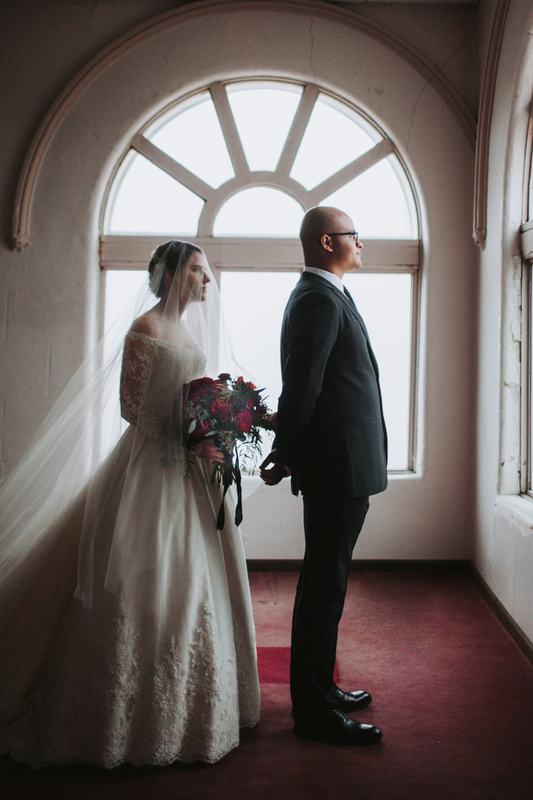 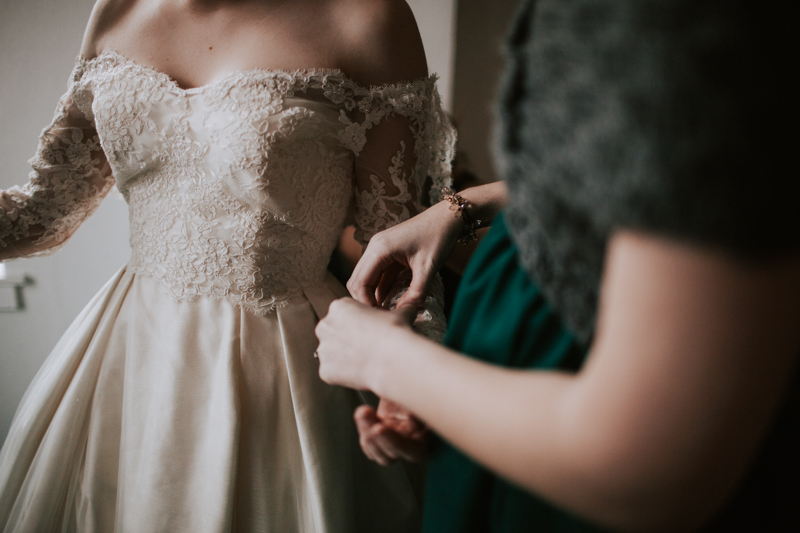 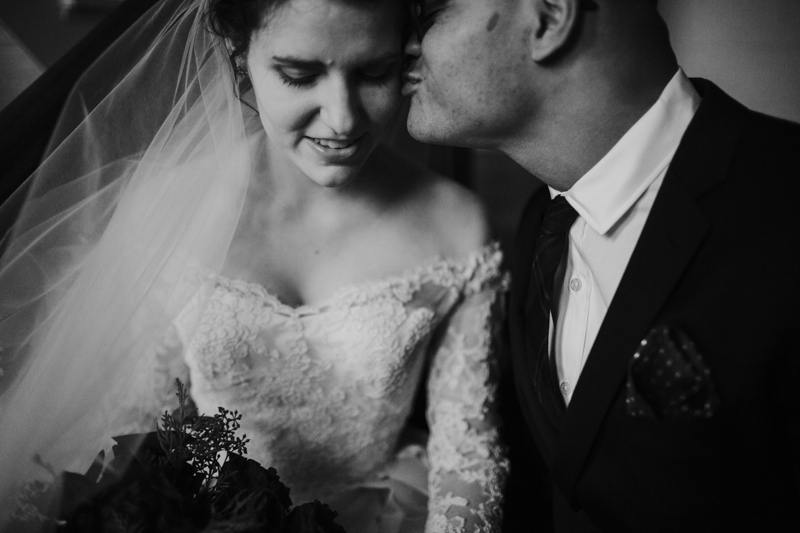 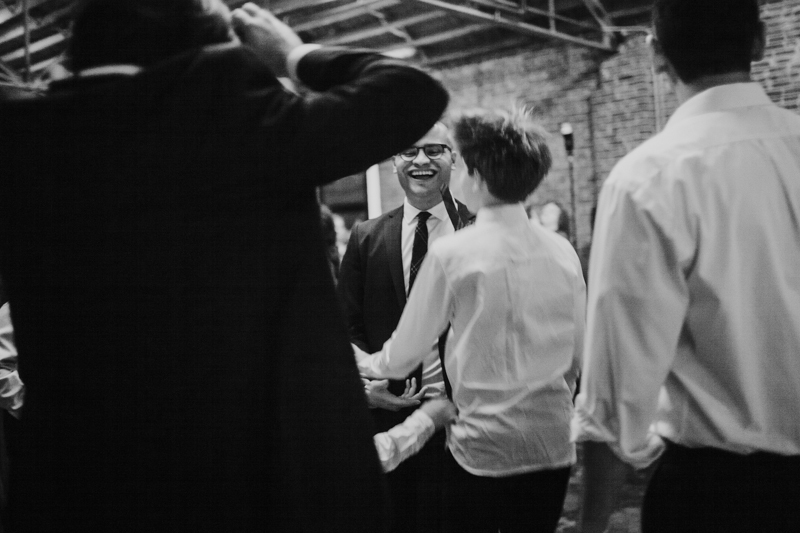 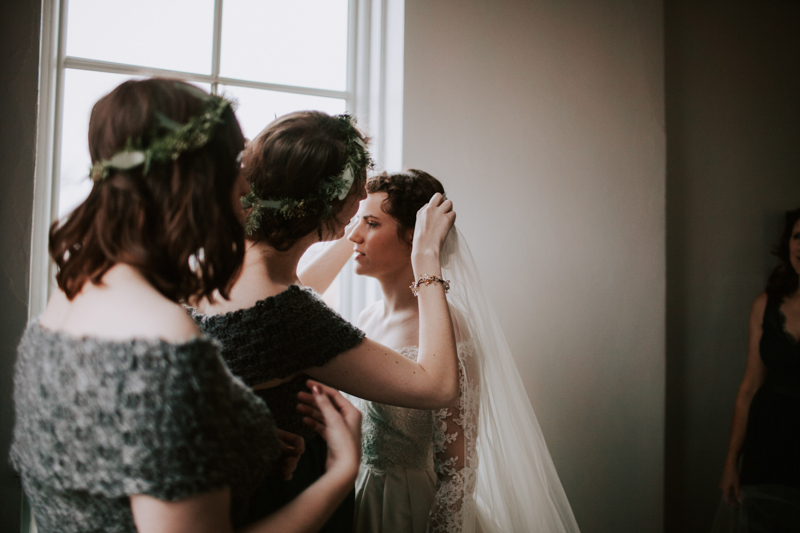 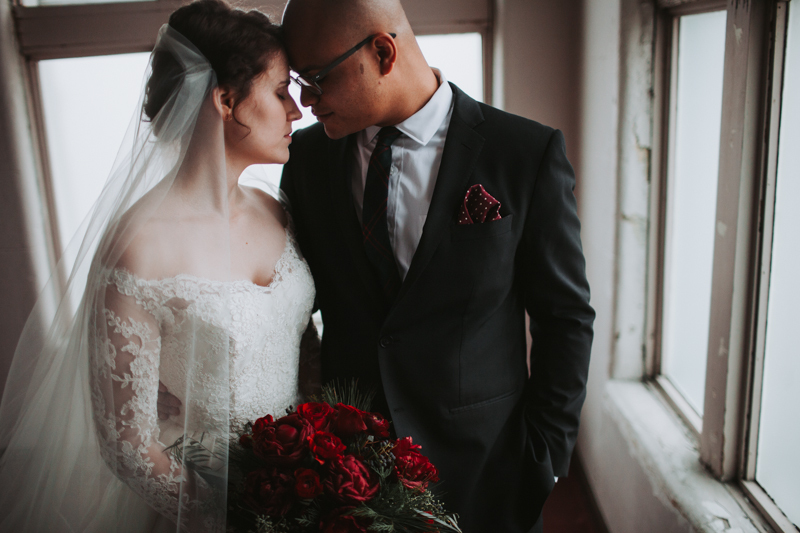 Mary & Isaac gave me all the space and trust to create something I will forever hold close to my heart and I am thankful for brides who push me to try new things and trust in my abilities. 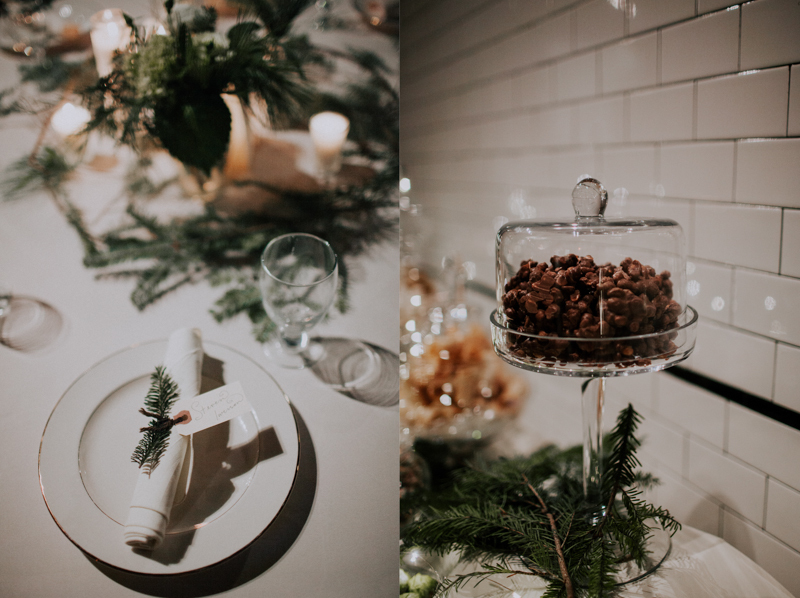 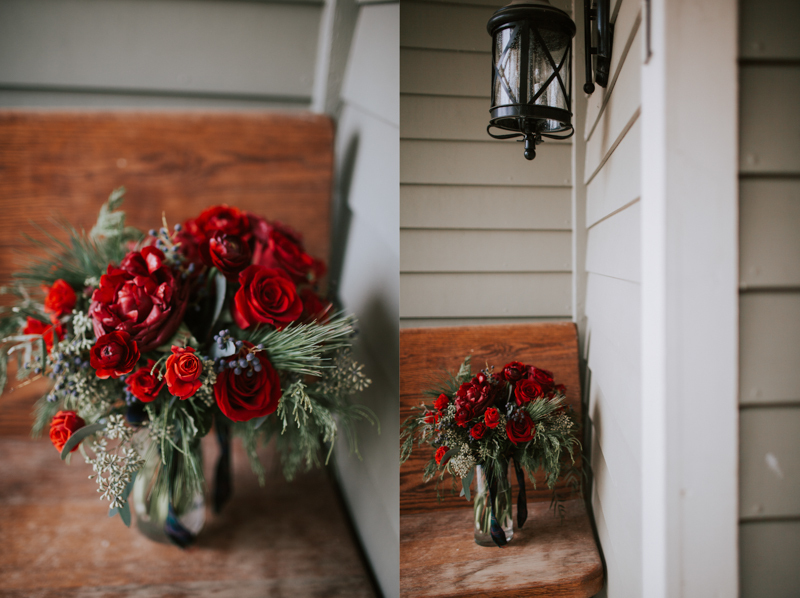 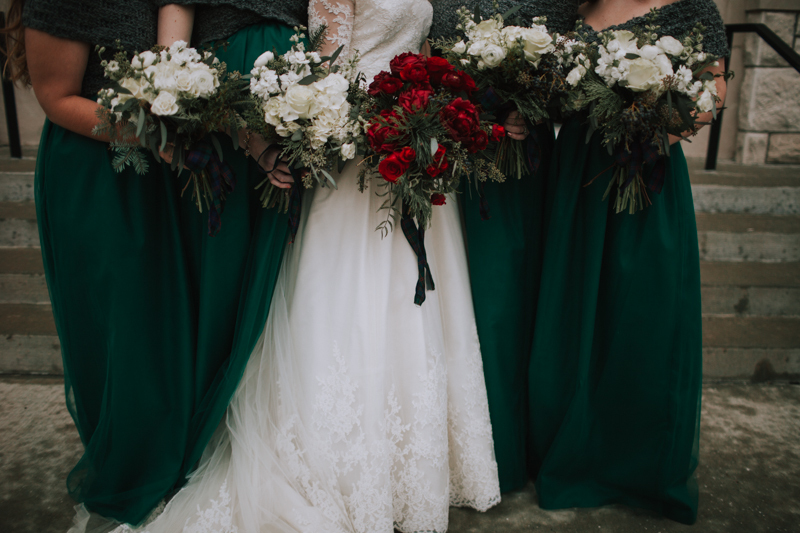 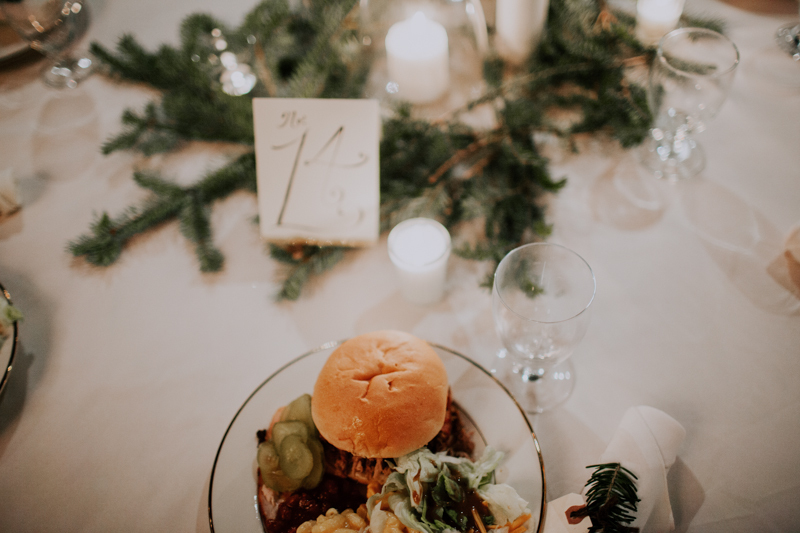 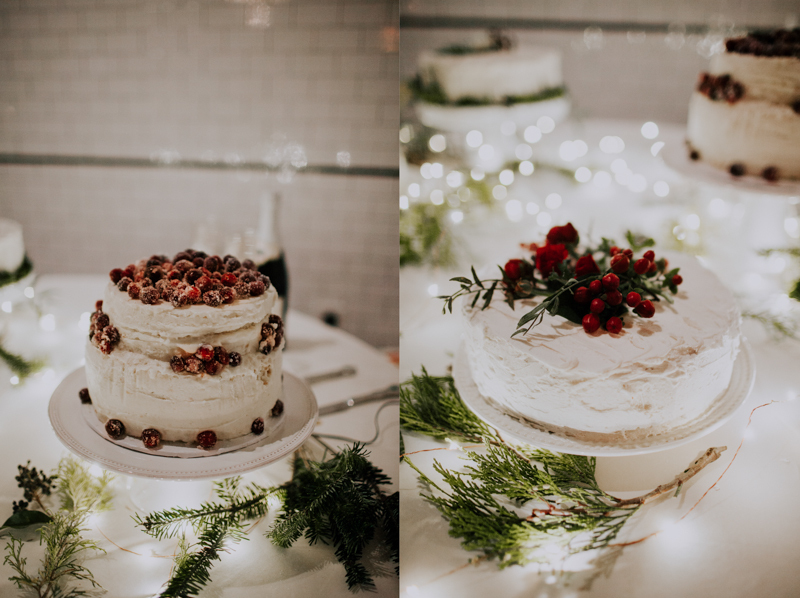 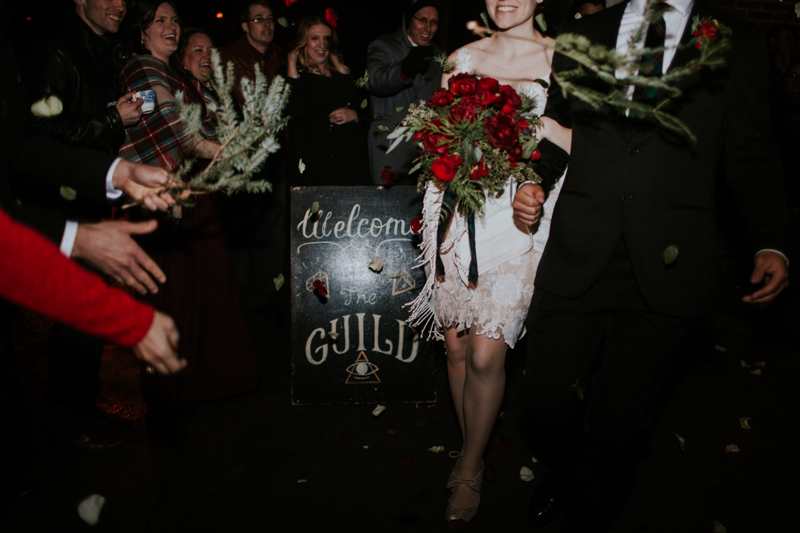 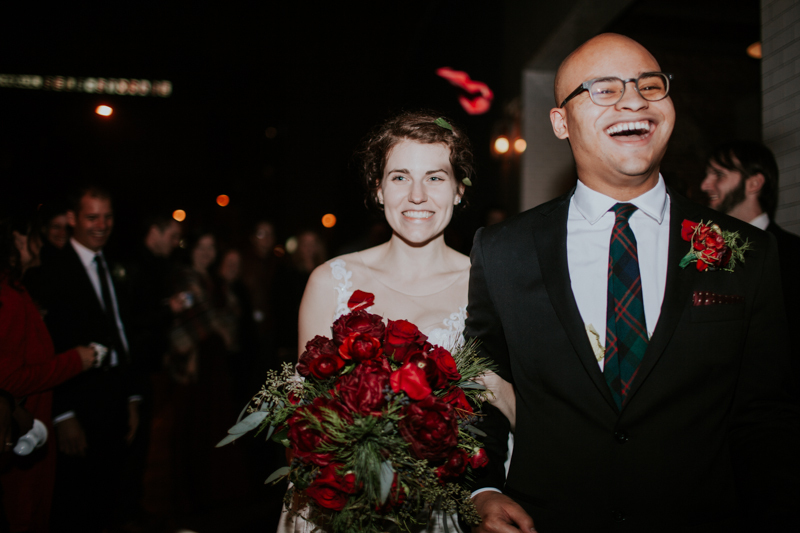 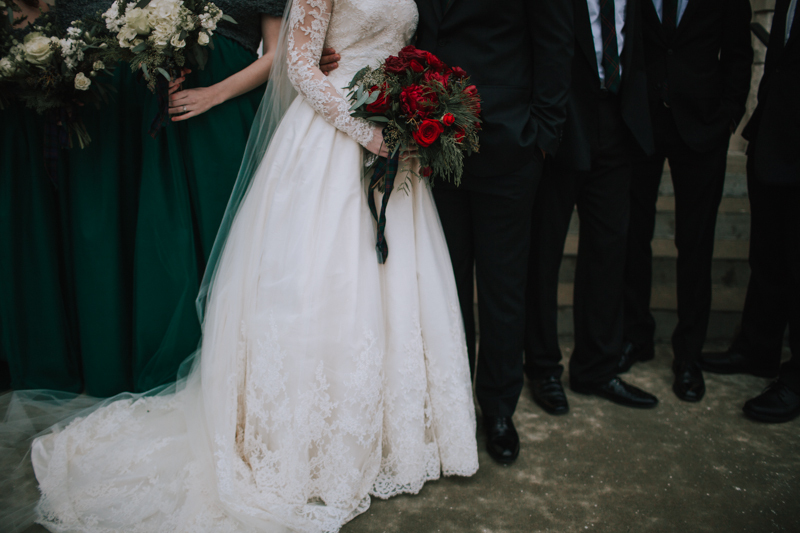 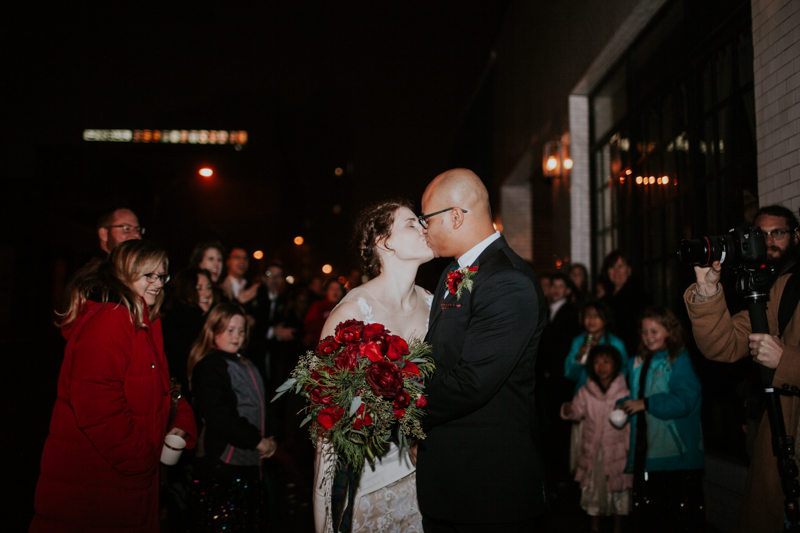 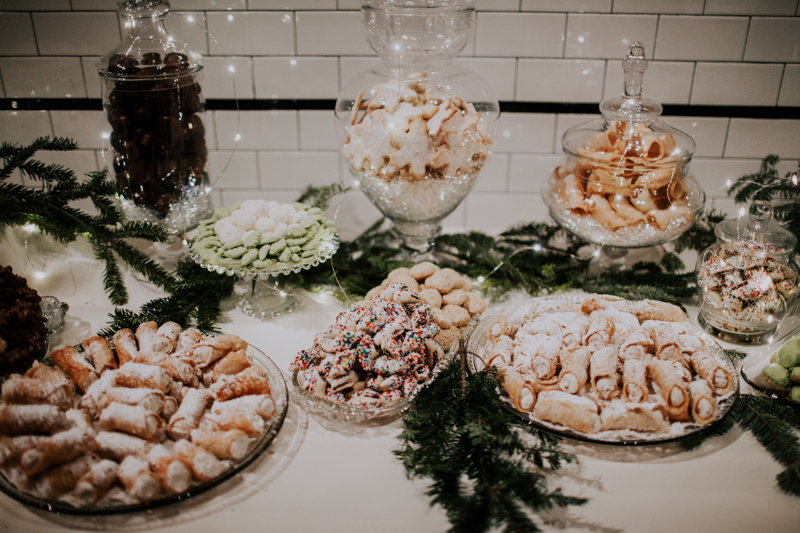 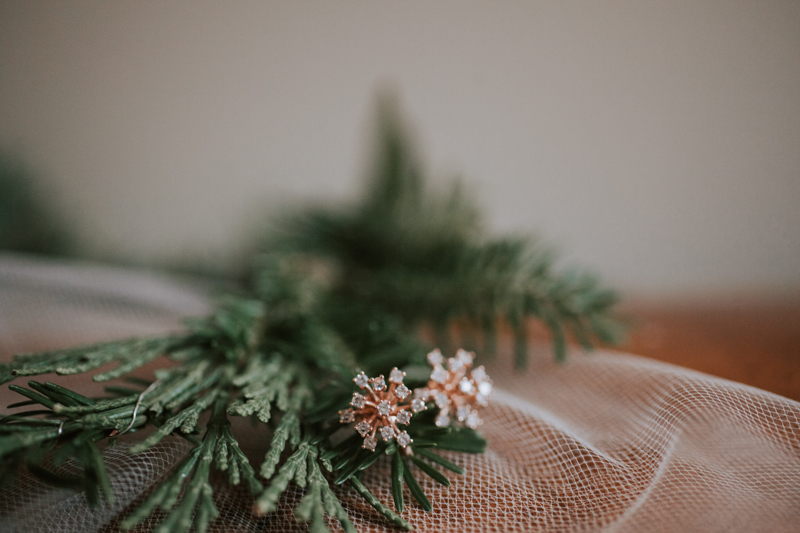 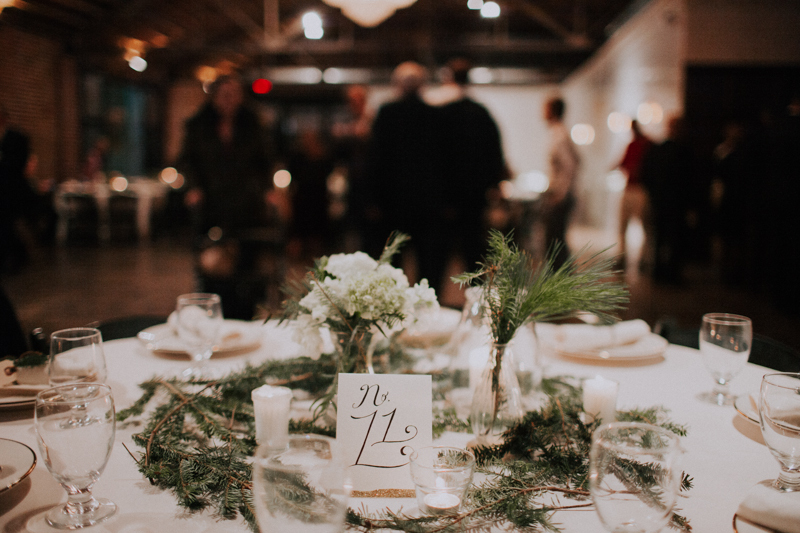 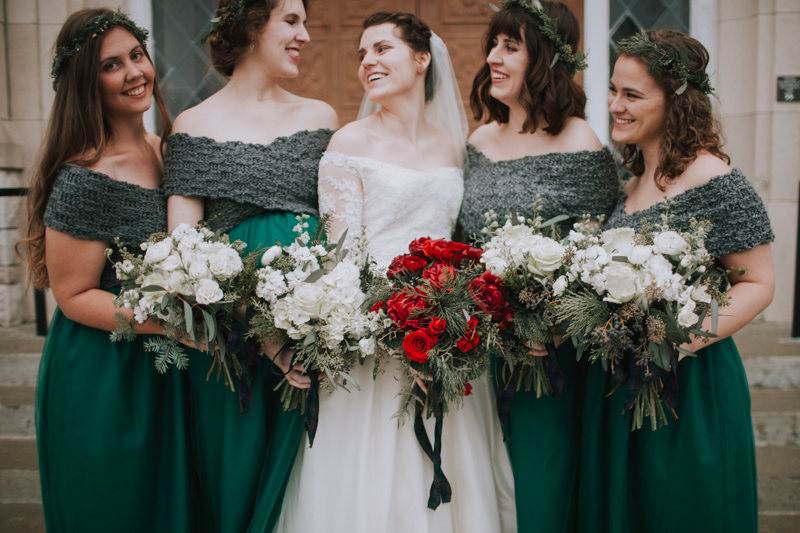 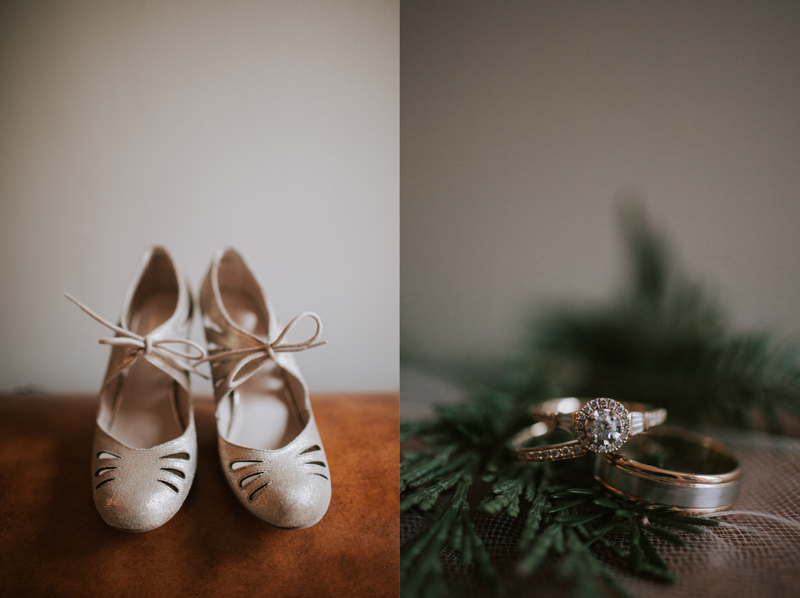 More about Mary & Isaac’s wedding day : They went with a tasteful and subtle christmas theme – lots of greenery, gold and deep reds. 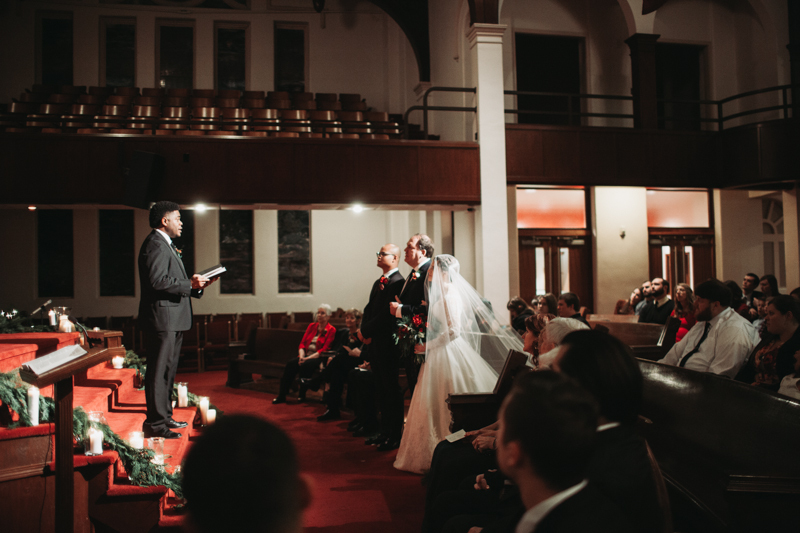 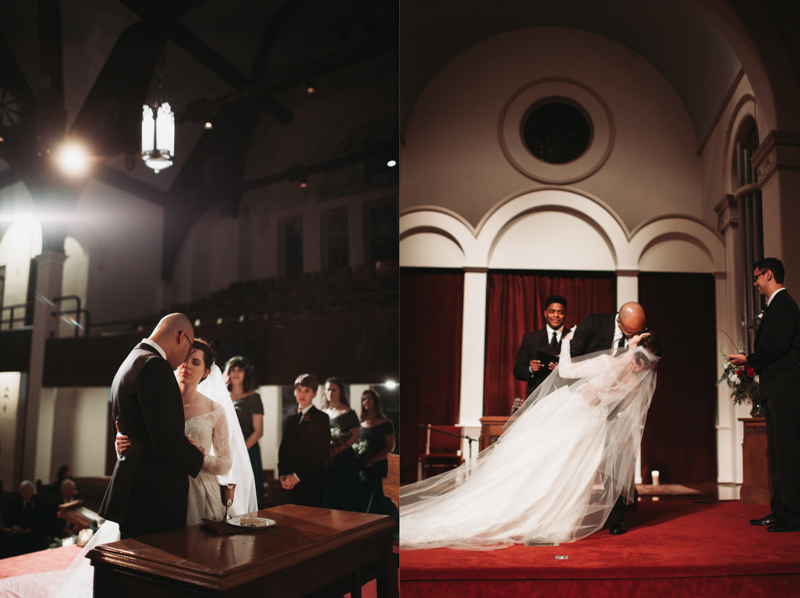 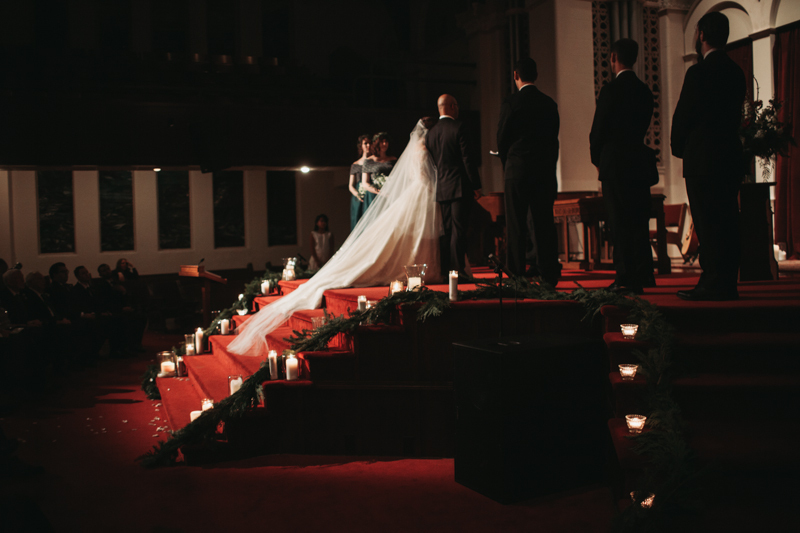 There were candles flickering down the isle and the entire church room smelled of cedar and pine. 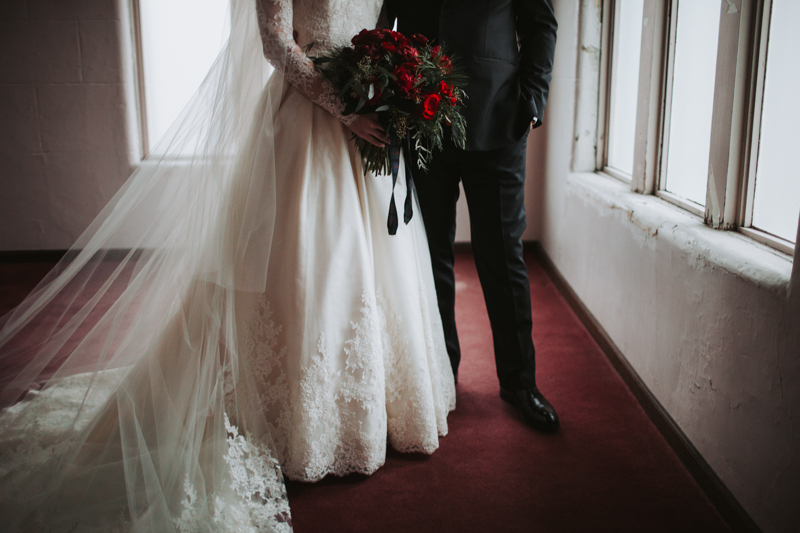 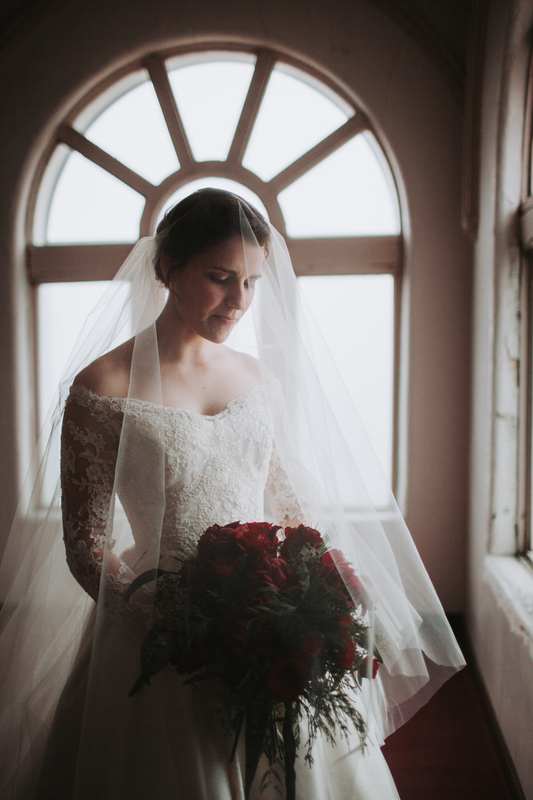 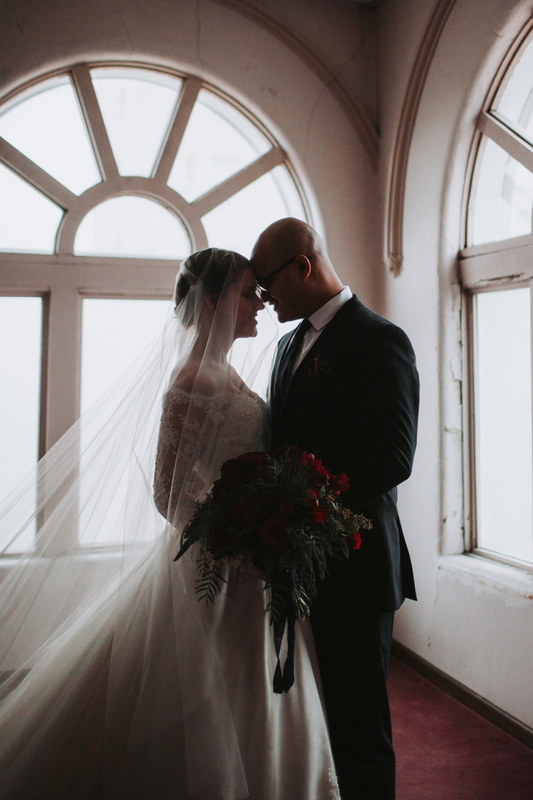 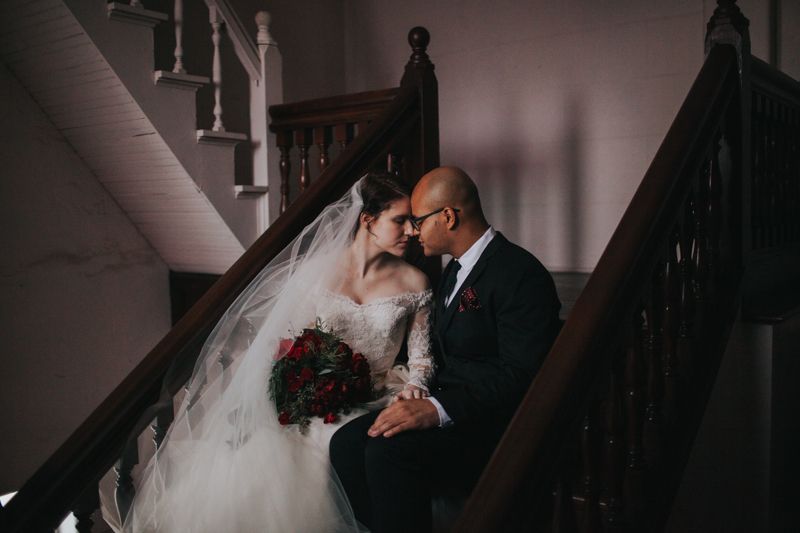 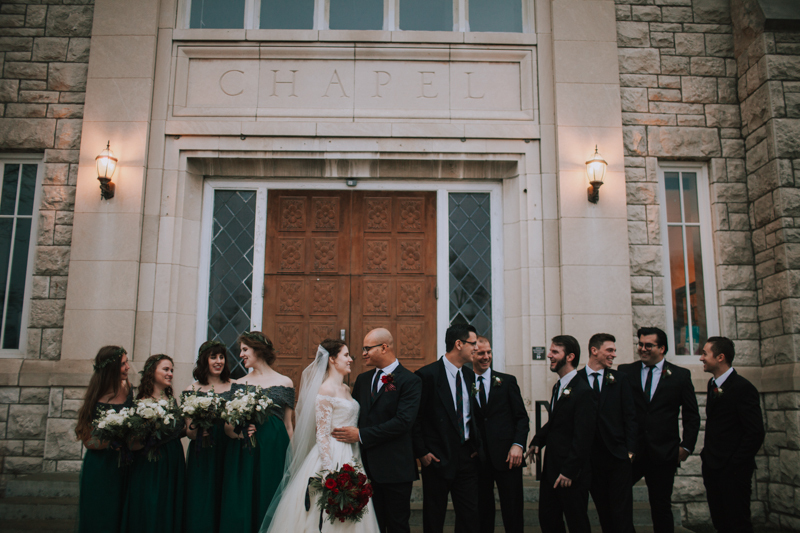 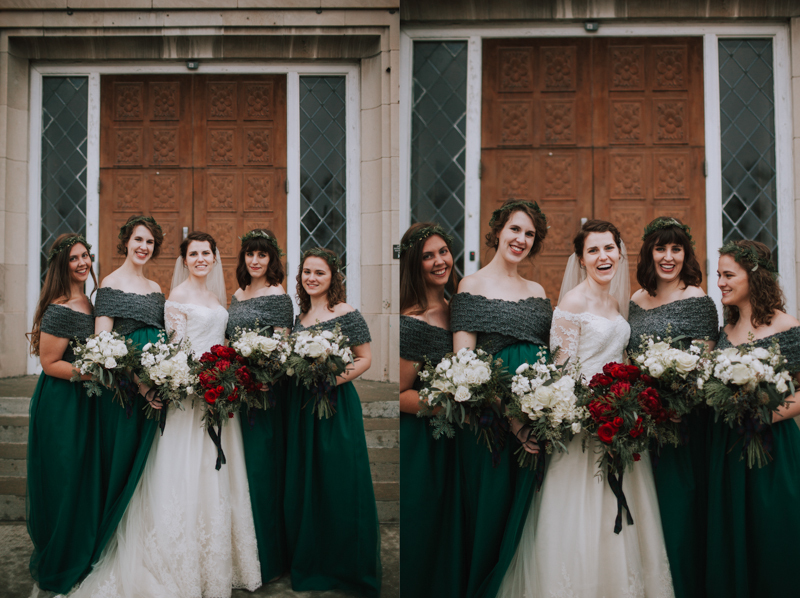 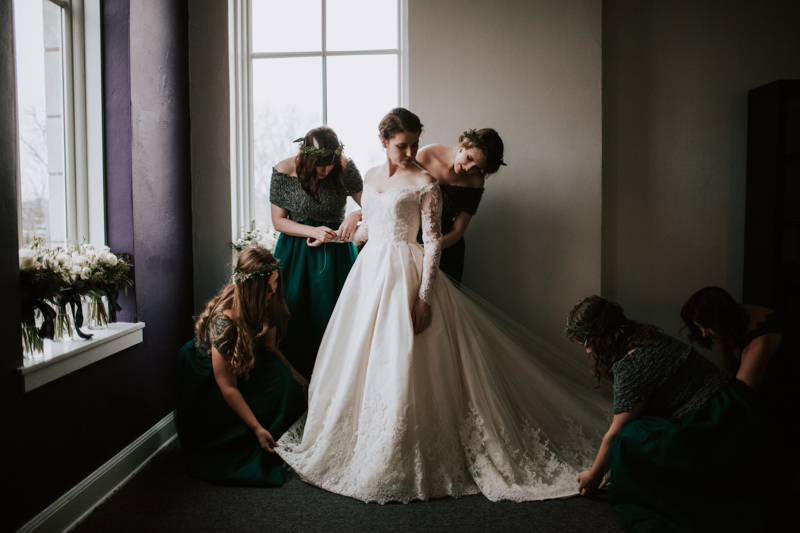 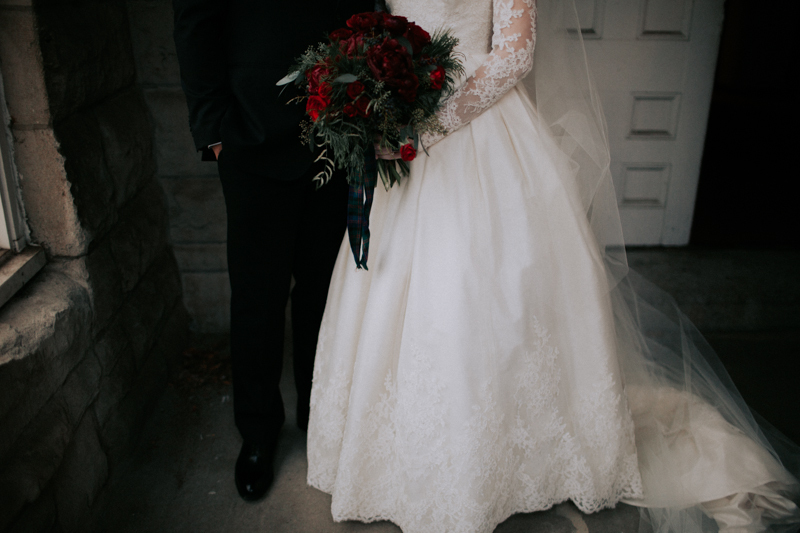 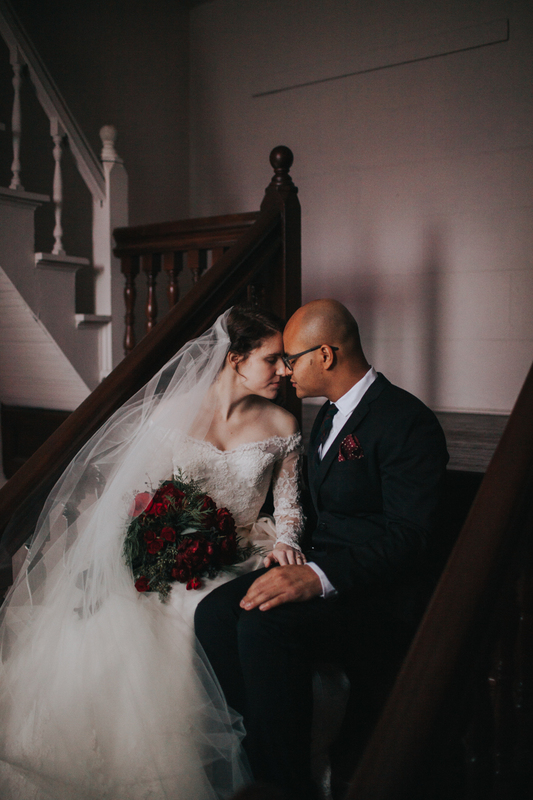 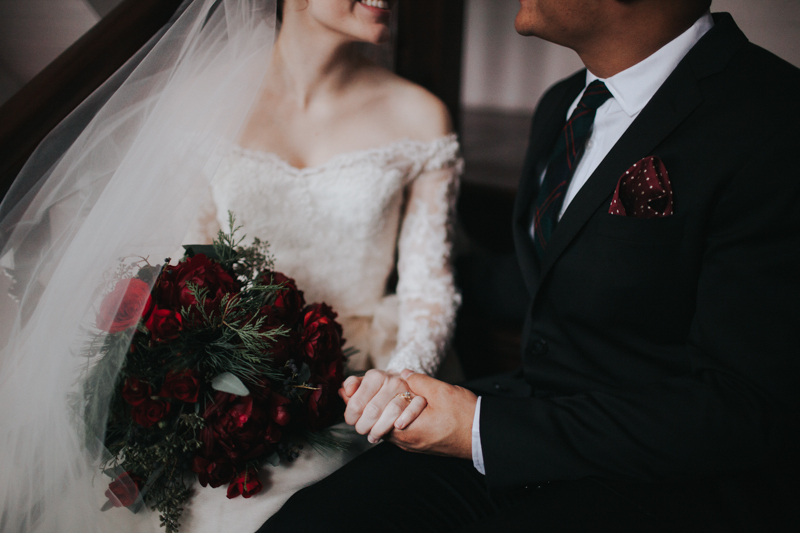 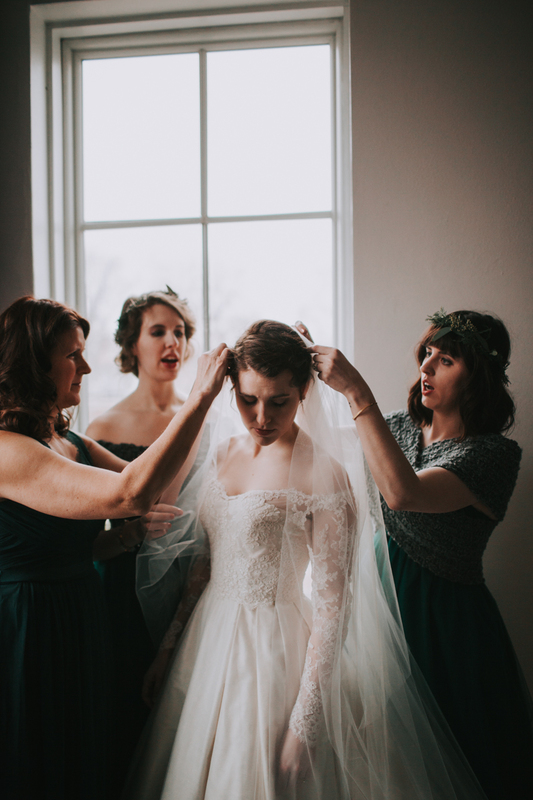 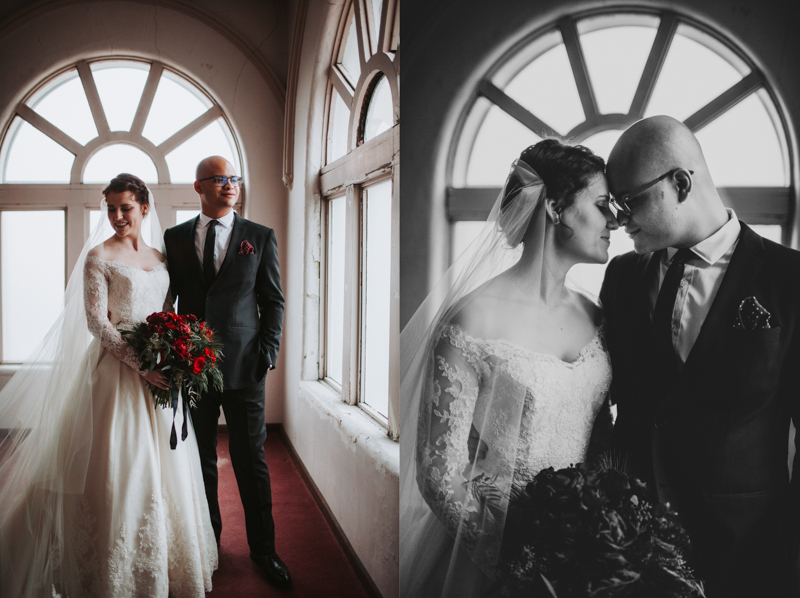 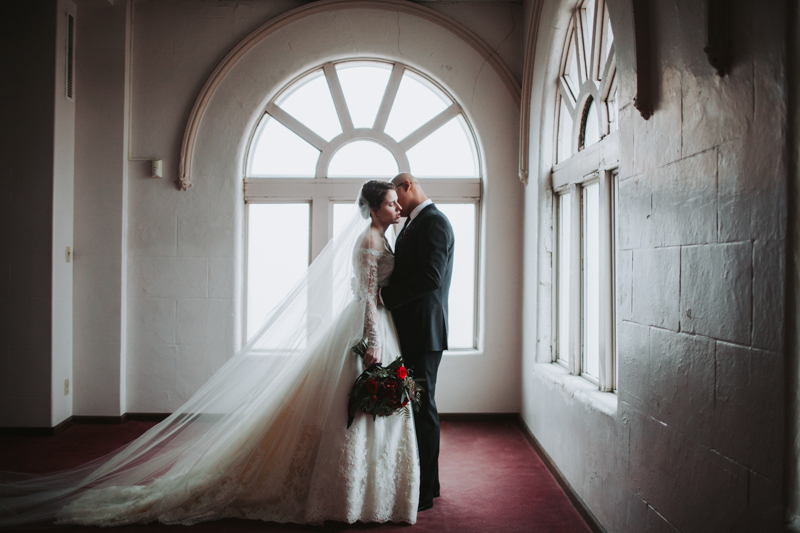 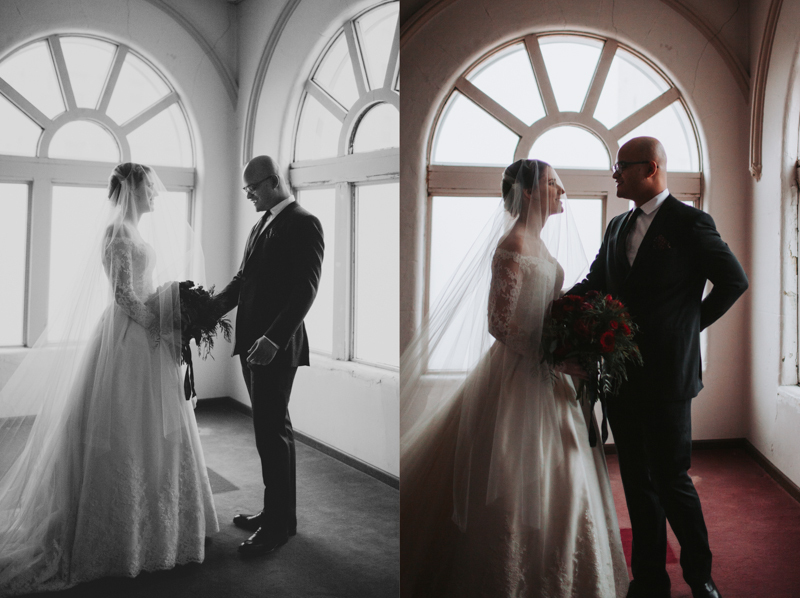 It began freezing rain outside while we were photographing the bridal party, the entire day was very dark and cloudy, but this it made it all the more cozy and spirited inside. 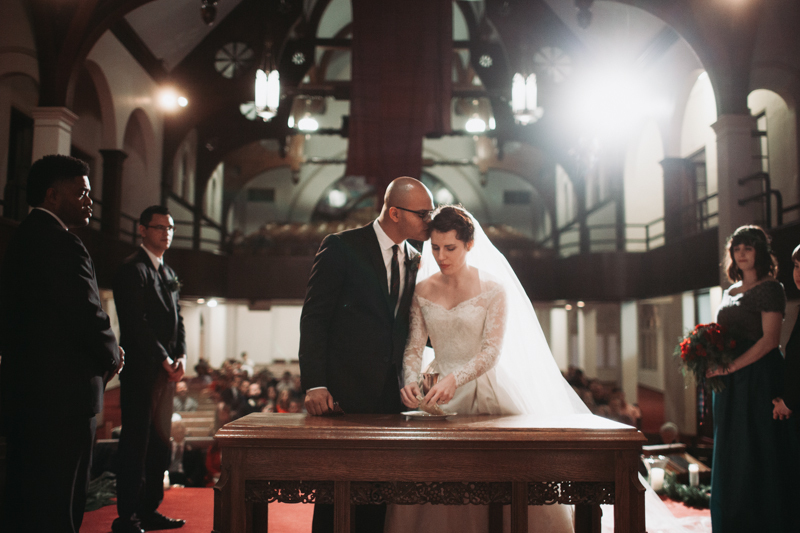 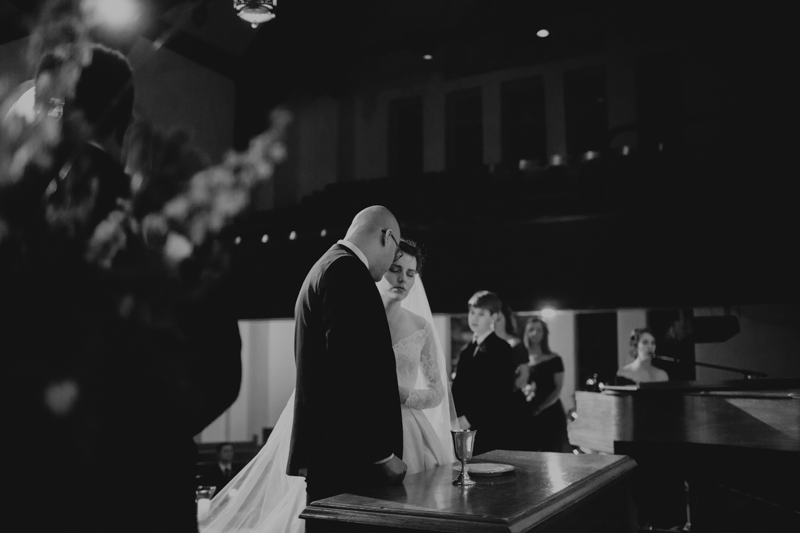 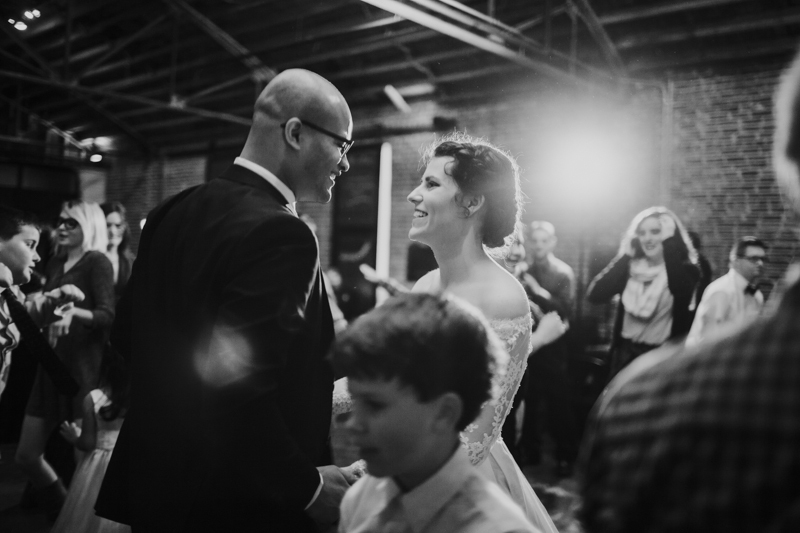 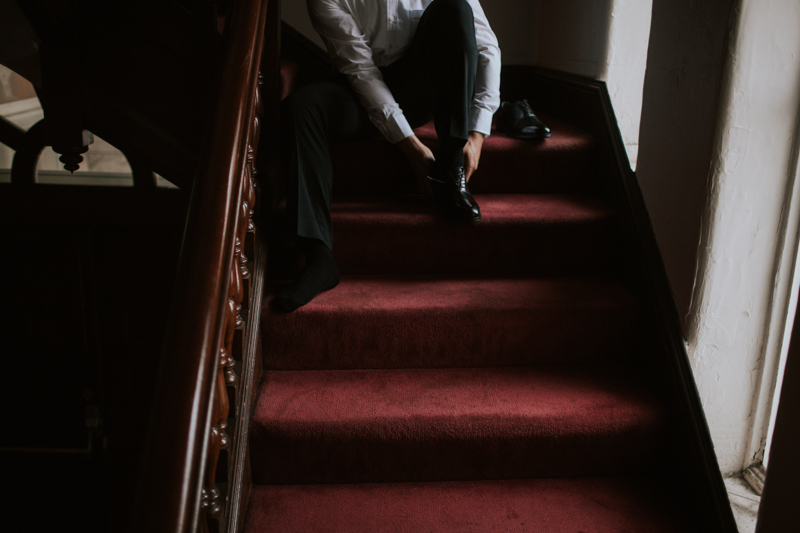 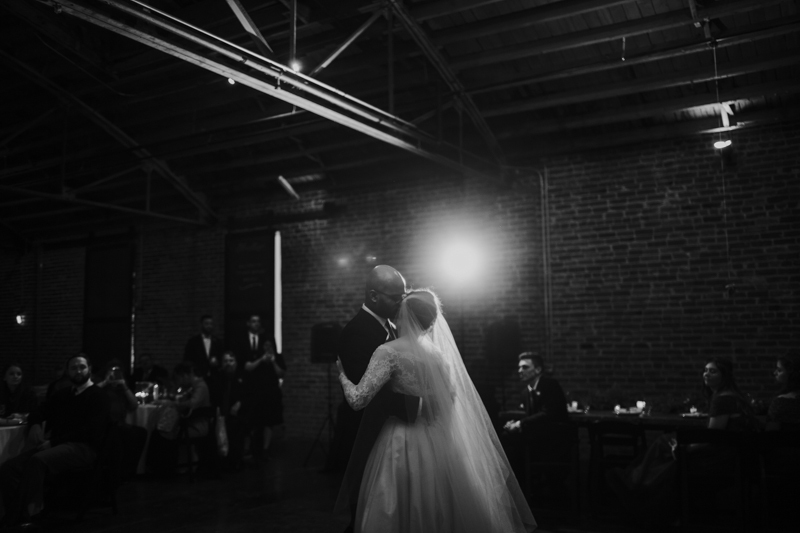 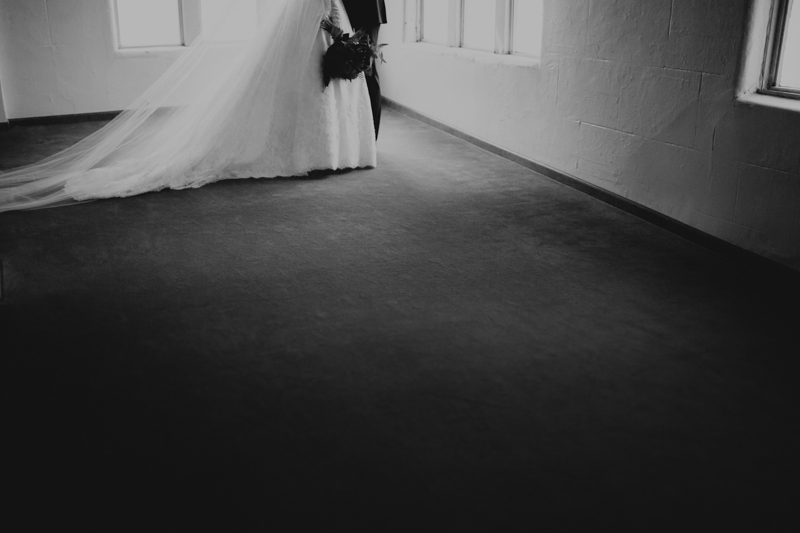 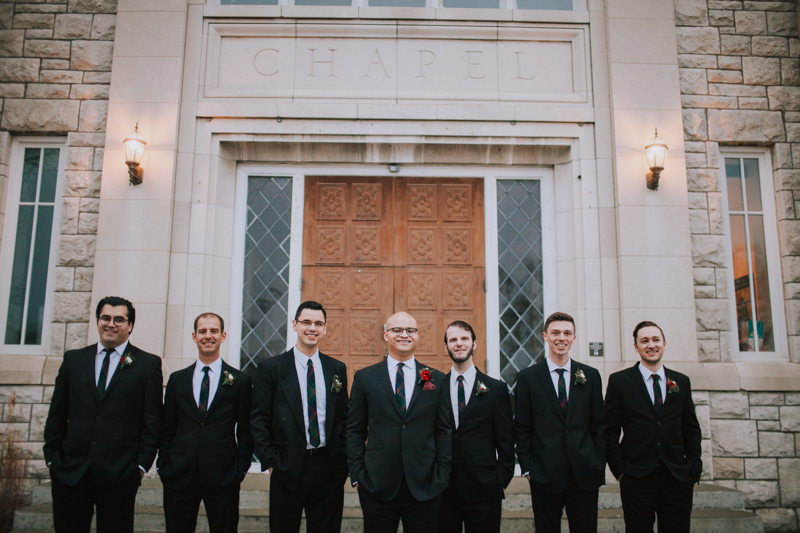 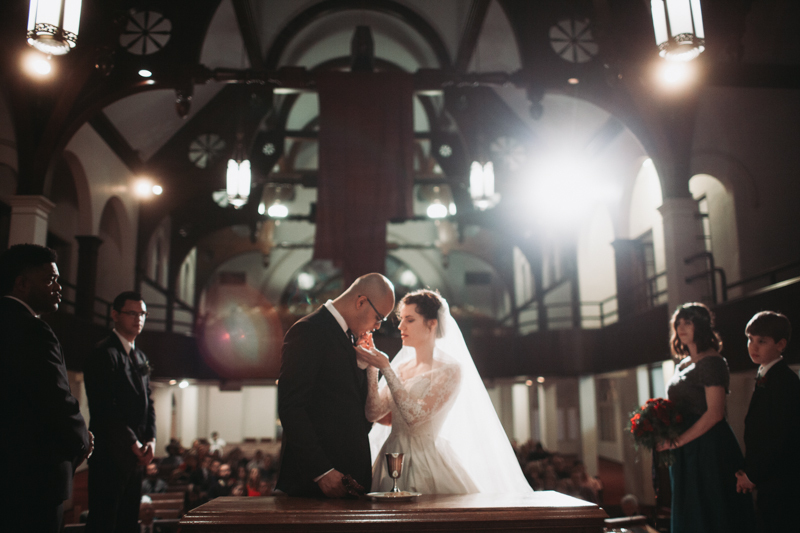 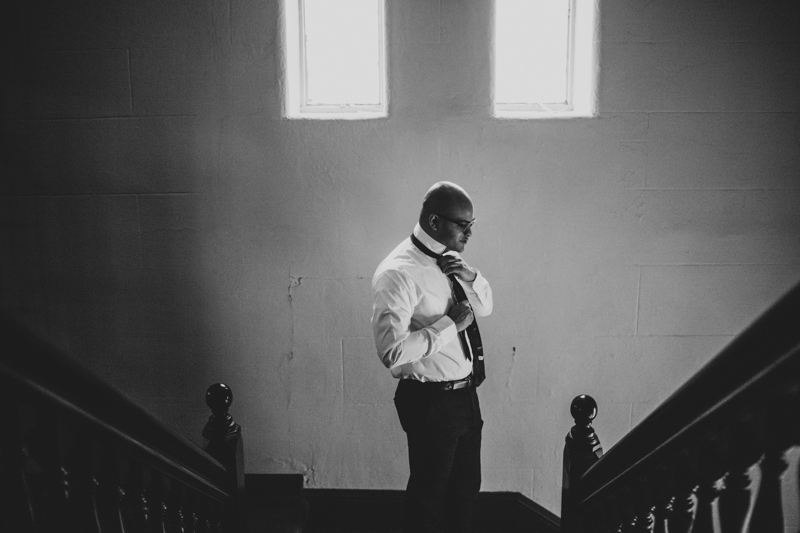 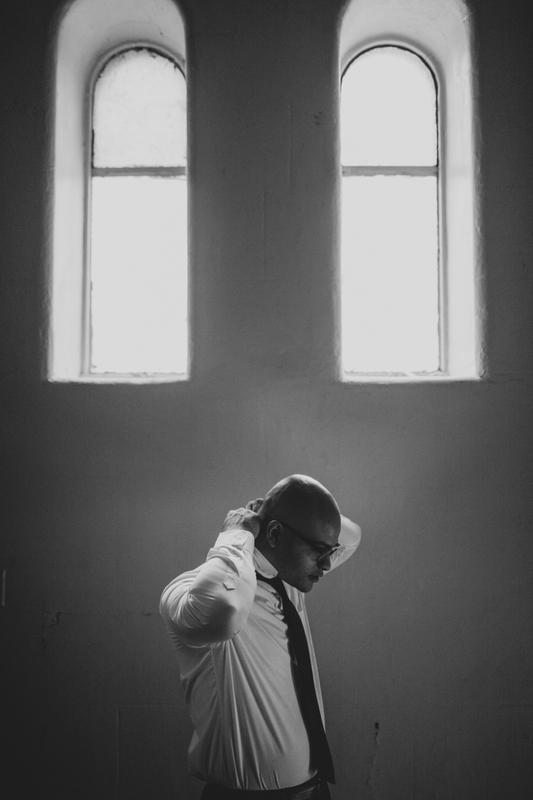 Check out their amazing wedding video by Jared with Statler Visual Co.
Isaac + Mary from Statler Visual Co. on Vimeo.